Travel | RTB's Blog on Health & Fitness, Travel, Automotive, DIY, Dating & Relationships, Childcare & Education and much more! Having arrived in France much later than we’d hoped, just before 1am in the morning, we headed towards Belgium (see part 1 of the story here). The going at first was slow, the mass of traffic spilt from the guts of the boat impeding our progress. Eventually the road opened up into a dual carriageway and we were able to pass the lorries. I dozed off for an hour whilst my girlfriend drove on through the night and into Belgium, waking up as we slowed for a slip ramp to find a hotel on the outskirts of Brussels. Our SatNav had indicated a hotel nearby and we pulled up outside it at sometime after 2am. Too quiet. The front door was locked. We rang a bell, but there was no answer. We hung around for a few moments, but realised that it being quite a small hotel, we may be out of luck. We hopped back in the car and checked the SatNav again. Several hotels within a few miles were suggested, and we tried to guess from their names whether they would be open 24 hours or not; we dismissed the ones with ‘guesthouse’ in their names, figuring that they would be smaller establishments and less likely to be open. Then we spotted the familiar name of Ibis; surely that would be open? It was about another 20 minute drive; I took the wheel this time. I’ve driven many times in Europe on various holidays and have no problem driving on the ‘wrong’ side of the road, and the Rav4 we were returning to Poland having originally been American and therefore already left hand drive, I had no further issues, and reached the hotel without incident. It was open! And they had a room. It wasn’t cheap though; £70 for a double. It was an Ibis Expo on the outskirts of Brussels, so we couldn’t complain too much – besides, it was almost 3am now and we were desperately in need of a sleep. But first the bar beckoned! To the left of the reception I had seen a welcoming looking bar and a wide selection of Belgian beers on offer. We were in Belgium… surely it would be rude not to sample a Belgian ale? The receptionist confirmed the bar was still open, and we each ordered a drink and savoured the beautiful Belgian abbey beer. We didn’t stick around though; we were exhausted. We headed to our room and quickly showered – it was most definitely necessary after that long in a car – and it was almost 4am before we went to sleep. We got up around 10am and we were back on the road for 11am. We had wanted to leave earlier, as we wanted to reach the Polish border that evening. But we still had the rest of Belgium, Holland and Germany to do first! We hit the motorway and stuck our foot down. We tried to reduce our food and toilet stops; we’d stocked up on snacks before leaving; but we were making the most of the Rav4’s LPG conversion to reduce fuel costs, and had to make regular stops to re gas, which added to our travelling time. Nonetheless, we had an excellent run, apart from some crawling traffic around Antwerp – which there always is – before heading into The Netherlands. Progress across Germany however was as smooth as a Pilsner, and we crossed into Poland shortly after 7pm. France, Belgium, The Netherlands, Germany and Poland all being EU countries, there had been no border stops, and the only noticeable change of country if you’d missed the ‘welcome’ sign was the change in language on the roadway signs. Entering Poland however was noticeable – by the jarring of our spines. We’d crossed the border south east of Forst, near Cottbus, on the E46, which eventually joins up with the E40 to Wroclaw (pronounced Vrotslav). What we’d forgotten was that the road had been made by Hitler during the war. Being constructed from concrete blocks meant a constant dumpadumpadumpa sound and vibration as the car crashed off one block and onto the other. Some roadworks and general poor road conditions didn’t help matters either. My girlfriend made some half apologetic half joking comment about ‘Welcome in Poland!‘ and the road condition, but to be honest, I’ve experienced much worse roads in Bulgaria. We had been driving for 8 hours and hadn’t had much sleep the night before, so decided to find a place to stop. We pulled up at the first roadside Motel but it looked very basic. We weren’t desperately hungry just yet and the SatNav suggested another place within 15 minutes so we headed to that. We arrived at the Hotel Hayduk, on the edge of Iłowa (pronounced Iwova). It too looked basic, but admittedly much nicer. They had a large restaurant annexed to the side and there was an LPG filling station too, so we decided to stay. We were glad we did – the restaurant was excellent, and far surpassed our expectations. truck stop..! We went for the fermented cabbage soup with meat, and a beetroot soup to start, both of which were delicious. We then had some Russian dumplings with pork fat and fried onion, and some pork neck. Again, they were both excellent. 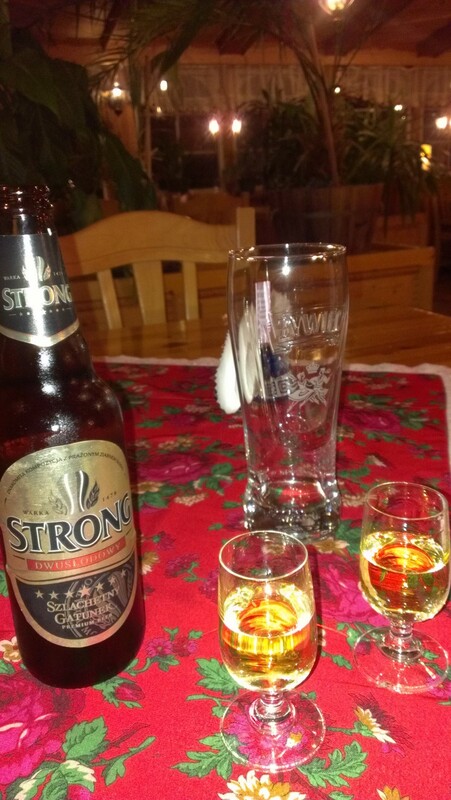 I tried ‘stomach vodka’ (Wódka Żołądkowa Gorzka); a herbal, warming vodka, for the first time – very pleasant – and also discovered Warka Strong beer; a dark, sweet, fizzy ale, that reminded me a little of a Belgian abbey beer such as Duvel. Very pleasant – it was the first time I’d tried it and it certainly wasn’t my last! After our very satisfying meal, we had a relatively early night and caught up on our sleep. We set off around 10am and made a leisurely drive to Krakow, arriving the mid afternoon of the Sunday 13th October. 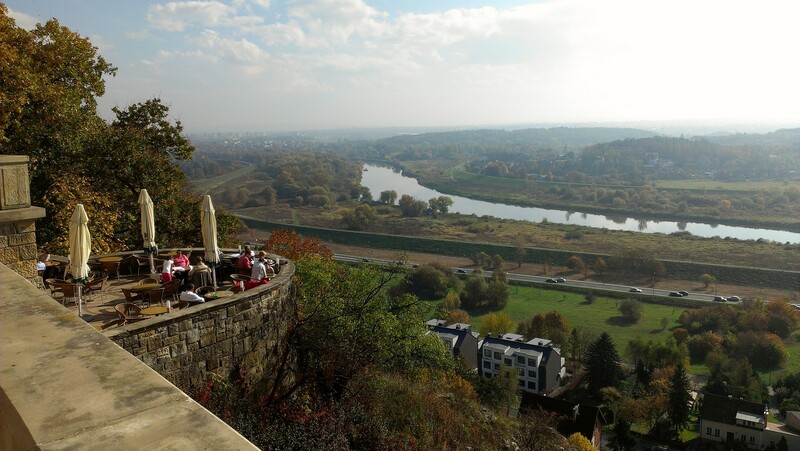 The sun was shining and the weather was glorious; before heading into the town we took a detour to Ziyada restaurant at Przegorzały Castle perched high on a hill on the outskirts of Krakow. 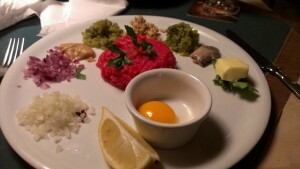 They serve a wide range of Polish, Kurdish and European food. 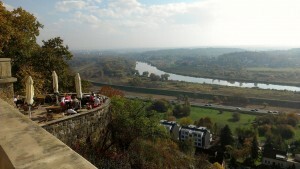 We stopped for cake and a beer and managed to find a great spot on the balcony and enjoyed the impressive landscape below us, with the Vistula (in Polish, Wisła, pronounced Viswa) river snaking below us. We then drove into town. 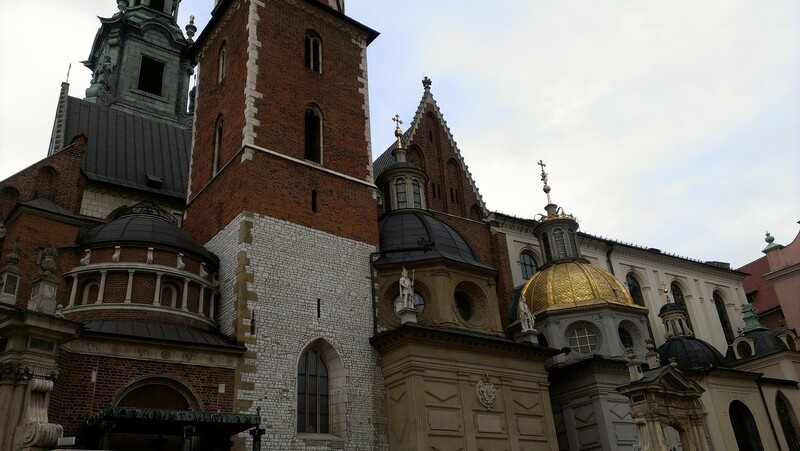 It was my first time in Krakow – and I was very impressed. My girlfriend drove me around the town, showing me the various points of interest; places she’d lived or worked; important buildings such as the many Universities, and libraries; the architecture was impressive. True, there’s the usually communist era tower blocks, but these seemed to be relatively well maintained, unlike some of the blocks I’d seen, and visited, in Bulgaria. with people enjoying the autumn sunshine. There were signs warning people from visiting the area, yet it was teeming with people. 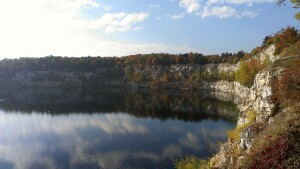 The reason was due to several large old stone quarries, that had been filled with water. There were no fences and the drops were quite extreme, hence the warnings, but it’s beauty meant that they were ignored. Apparently there is a diving school there also. After enjoying the scenery and the sun, we headed back to the car and drove back to the centre. We’d booked an apartment to stay in that night, and were due to fly back the next evening. We’d opted to stay in the ‘bohemian’ and fashionable area of Kazimierz. After unpacking and freshening up, we headed out – first stop, a vodka bar. There are many, many pubs and bars in Krakow (it does have 21 Universities with about 170,000 students, so what do you expect! ), particularly in Kasimierz, all of which sell a vast range of beers, wines and spirits – in particular, vodka. There’s the ‘stomach’ herbal vodka I previously mentioned, and then a long list of ‘the usual’ flavoured vokdas on sale; raspberry, cherry, pineapple, lemon, mint, blackcurrant, honey – then quite often other flavours such as ginger, hazelnut, cranberry, lime & mint, pear, mango… the list is endless. We sampled a couple of different flavours each and went for a stroll. Admiring the historical streets and buildings, we walked south to the Vistula (Wisła) river, the longest river in Poland. We turned east along its curving banks and headed north east back towards the old town and Wawel (pronounced Vavel) Castle. It being October, it got a little chilly; so we stopped at a floating bar on the river for more herbal and flavoured vodka. expressed my interest to see it in the daylight and we decided to come back the next day. 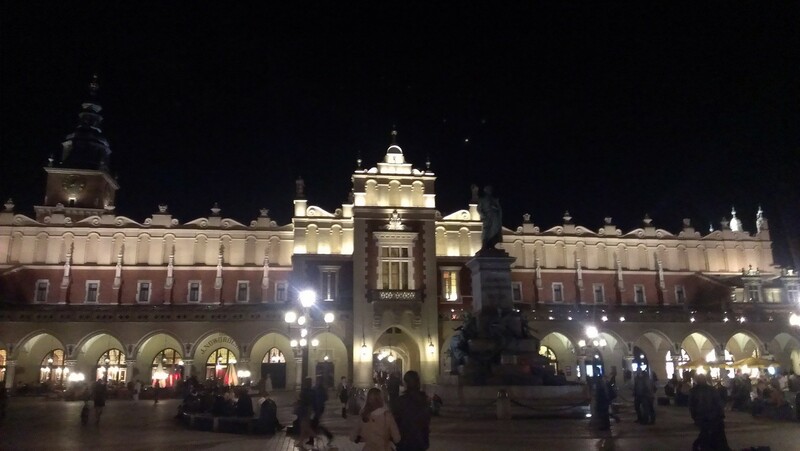 Now though, it was cold, so opting to avoid the old town due to it’s over popularity with tourists and inflated prices, but skirting the edges so I could get a quick look at the splendid centre, we hurried back to Kasimierz to find a warm bar. We opted for a popular subterrean bar made infamous for it’s historical connections with poets, rebels and romantics. It’s small but cosy interior with vaulted ceilings were a perfect setting to try a hot beer – which was interesting, and warmed me up, but hard to digest! So we switched back to sampling all the flavoured vodkas we hadn’t yet tried – or, by this stage – had forgotten we’d already had. Then we took another stroll through the surprisingly busy streets (it being a Sunday evening) of Kasimierz and to a restaurant for me to try for the first time a steak tartare. The pile of uncooked mince meat, random chopped vegetables and raw egg didn’t look at all appetizing. When it was all mixed together it looked even less so. However – it was delicious. I love smoked salmon and sashimi; the raw meat wasn’t dissimilar in taste and texture. This was, of course, washed down with some more vodka. Monday morning we were in no rush to get up. However, we did only have the apartment until midday and I was flying back that evening, to return to work on the Tuesday. My girlfriend was staying on for a few days to visit some friends and family and sort a few things out. just off the main square in Kazimierz. I was impressed with the sheer range of exotic sounding food options, but opted for a simple croissant with bacon. We then walked to and around the castle at Wawel to clear our heads. The castle is quite spectacular, it having originally been build in the mid 1300s. I was flying back from Katowice rather than Krakow, which is about an hour and a half drive away. Spurning airport food, we decided to go for more food in the wonderful Krakow, and visited a restaurant called Moment, where we enjoyed spicy coconut soup with chicken and shrimps, washed down with a hot tea made with raspberry vodka. Yes, more vodka. It had only been a very short time spent in Poland but I had thoroughly enjoyed myself. It wasn’t to be my last visit. The first time I visited Poland, a couple of years ago, we drove there. We didn’t really have a choice – we needed to return my girlfriends car there. She’d bought it across to the UK when she’d moved here six months ago, and the law stated that it could only stay in the country for six months before having to register it. She loved her car, an American model (2.4l auto) 2004 Toyota Rav4, and we’d considered registering it here in the UK to be able to keep it. However, it was left hand drive so not ideal in the UK, and other tax and insurance complexities meant that it had to go. Selling a left hand drive car in the UK is always difficult, and the market for these types of car in Poland allegedly being good at the time, we decided to drive it back there, and for a friend to sell it on. On a Friday afternoon in grey October, I left work on the borders of North Wales, near Chester, early at about 3:30pm, picked up the girlfriend, and we set off for the south coast. Friday afternoon motorway traffic being what it is, and having to cover a long distance over several major motorways and known congestion spots, we’d decided to set off as soon as we could and had opted for a ferry option that gave us some flexibility. Direct ferries allowed us to buy a ‘standard’ ticket that allowed us (should there be sufficient space on board) to board a ferry one time slot before the purchased time, or one slot afterwards. P&O wanted a significant amount extra to be able to add any flexibility. We decided to purchase the 10pm ticket (via our favourite site, TopCashBack, of course!). If the traffic was sweet all the way down, the earliest we could arrive was just after 7pm, which would set us up nicely for the ferry one time slot before the midnight slot, i.e. the 8pm ferry. However, we knew that this would be unlikely, and were happy to accept the 10pm ferry. If things were really bad, we could still get the next slot, the midnight ferry. Some ferries went to Dunkirk, others to Calais – it didn’t make a huge difference to us, as the time made up on the shorter Calais crossing was eaten up by about the same amount of time driving east past Dunkirk and into Belgium. As it was, it was slow going. We suffered the usually sluggish traffic going down the M6 near Manchester & Knutsford, and hit the expected congestion around Birmingham. The roadworks around Luton had further impeded our progress, as had the petrol, toilet and snack stops. By the time we hit the M25 though, the worst of rush hour was over. Nonetheless, it was still slow going, and traffic crawled pathetically slowly over the Dartford bridge. Progress wasn’t much better when we got off the M25, due to some more roadworks, and the inevitable slow lorry in front of us on the single carriageways. 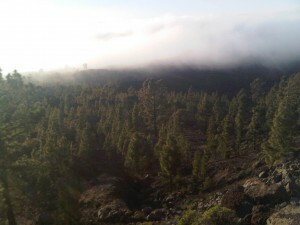 Added to all this, there was a torrential rain storm, and visibility was vastly reduced. Deep puddles built up at the side of the road threatened to pull us off the road. It was hard going! At half past 9 at night, bombing towards the docks, we read the ferry arrival procedures. It seemed to suggest that you needed to arrive at least 45 minutes prior to sailing, else they might not let you on. So we may have had to wait until the midnight ferry, which would have been a pain. We decided to call the ferry company, and let them know we were coming. The lady on the phone was somewhat stroppy, but she said that depending on how busy it was, they may let us on with fiften minutes to spare. We reached Dover at 9:45pm. Searching frantically for the correct port and lane, we bounced along the rough ground and flew into the stop & search area. We were asked to open the boot, and they held a mirror underneath the car, but only delayed us for a moment. At ten minutes to ten, we drove onto the ferry. It actually sailed only five minutes later, i.e. five minutes before it was due to leave! We breathed a sigh of relief and headed off to find some comfortable seats. If we’d had to sit in the car for another 2 hours, in the cold, that would have been very frustrating, especially as we planned to try and drive for another hour or two once we’d crossed. 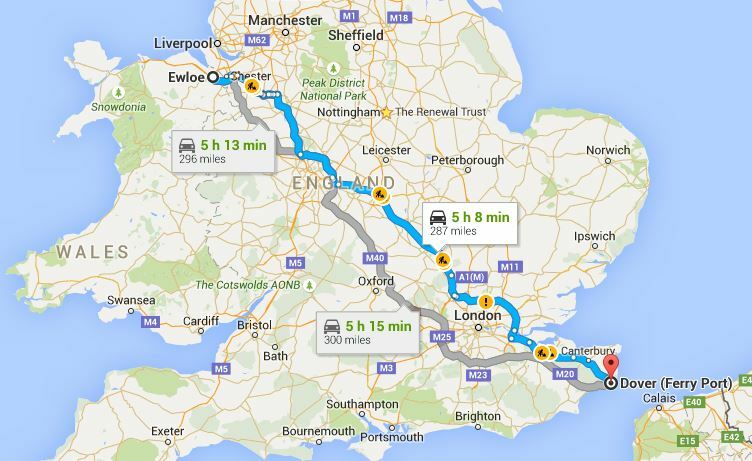 Had we taken the best route to Dover? We’d actually had three route options: carry on around Birmingham, taking the M40 down to the M25; turn off at Birmingham and take the M6 to the M1 and to the M25; or cut across the M1 to take the A14 cross country to get onto the A1, down to the M25. None of them were ideal. We couldn’t avoid the M6 traffic, nor Birmingham – unless we opted to go across country to Nottingham at Stoke on Trent, but we knew that would take longer. But what would be better, the M40, the M1, or the A14 & A1? The M40 would most likely be the least congested, but it bring us to the wrong side of the M25. 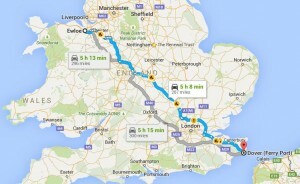 This route had the longest stretch of the M25, which put me off. In hindsight, it wouldn’t have mattered so much – rush hour was more or less over by the time we would have hit the M25. The A14-A1 option didn’t appeal as it meant quite a few stretches of single carriageway and I knew that if we took this option, we’d have been stuck behind countless lorries and tractors or other slow moving vehicles. So I’d recommend the M40 option if you are considering doing a similar journey from the North West to the South East on a Friday afternoon at a similar time of day. Have contemplated this and found a reasonably comfortable corner of a quiet restaurant on board the ferry, we piled our coats up as padding and laid down for a couple of hours, trying to get some sleep. At midnight the ferry arrived at Dunkirk. As soon as the announcment came on that you could return to your car and the doors unlocked, a mass of humanity poured to the lower levels to get to their cars as soon as they could. It took about 30 minutes before we could even start to crawl forward; and another 15 minutes passed until we finally drove off the ferry. It was a quarter to 1 in the morning, on Saturday the 12th of October 2013, but we were in France! Only that, and three more countries, to drive through, in order to reach our destination. 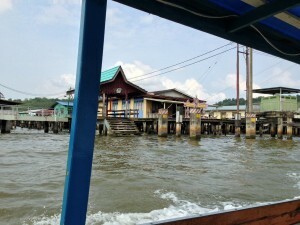 After a great experience in Bali we headed home, via a long stop over on the Borneo island, in the country of Brunei. On Sunday morning we landed at Brunei airport. We’d spent a couple of hours in the transit area on the flight over, but had a 10 hour layover this time – so we’d booked a guide for the day to show us around one of the richest countries in the world – as there’s only about 50 taxis in the whole country! We purchased our visa on arrival at the desk for (if I recall correctly) 17 Singapore dollars each – the Singapore currency being exchangeable with Brunei dollars and us not being able to source any Brunei currency before travelling. We then met our guide Violet at arrivals. She was lovely, and spoke excellent English. It soon transpired that she’d studied at University in our home town of Nottingham and spent several years there and one year working down in Cornwall at a pharmacist, but had decided to return home due to missing her friends in both Nottingham and Brunei and not finding work in the Midlands. Although she had lived most of her life in Brunei and made an excellent tour guide, her parents were from Malaysia, but of Chinese descent. and there’s only so much for a tourist to see. 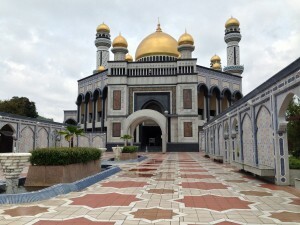 We started with a trip to the Jame’Asr Hassanil Bolkiah Mosque. This huge building was very impressive, with some fascinating architecture. We took off our shoes and donned long robes, and we were able to enter the large prayer room and the wash room. No photos were allowed inside, but we were able to take a few snaps outside and in the inner forum. being Sunday and the other closed for renovations. This museum was interesting in a way, but being focussed solely on the Sultan and royal family, didn’t interest us so much. What interested us more was the local market opposite it. We asked Violet if she minded us taking a look and she was happy to take us over and talk with the locals to try and explain what the vast range of bizarre looking fruit and veg on offer were. We’d seen a few interesting fruits in Bali and had tried dragonfruit, the rather smelly but somewhat tasty (if you like creamy onion flavours in your fruit!) “king of fruits“, durian fruit as well as mangosteen. There were some others here we’d not seen. 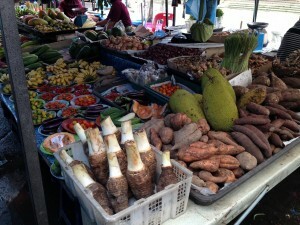 We bought some jackfruit and mangosteen, the “queen of fruits“, and something else I can’t recall the name of! Very enjoyable. We then drove out to the Empire Hotel and Country Club. This is an impressive luxury beach side hotel overlooking the South China Sea. 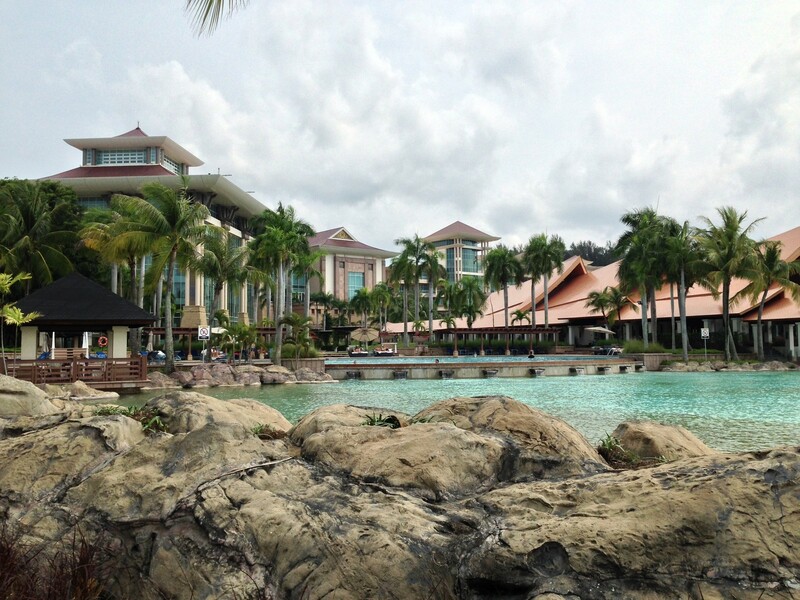 We admired the grand architecture and indulged in cakes and coffee before taking a stroll around the grounds and swimming pool and to the beach, Violet telling us many interesting facts about life in Brunei. It being a Muslim country, it is “dry” – no alcohol is sold. However, the border with Malaysia is only an hour or so away, and you are allowed to bring back 12 cans of beer or a bottle of spirit per person, so people would regularly drive to the border to stock up on drinks. She told us how there was generally no problems living there as a non-Muslim, although the Sultan was becoming more strict in his followings of the faith in his later years and some Sharia law was being adopted. Previously, during Ramadan and fasting, some restaurants and stalls were allowed to be open for tourists to be able to eat, but this was no longer the case. Healthcare in the country is excellent; you pay a dollar to visit a doctor, but then have unlimited medicine for a year. Hospital care is free, and if they are unable to provide the required expert care needed in their country, it is paid for in another. 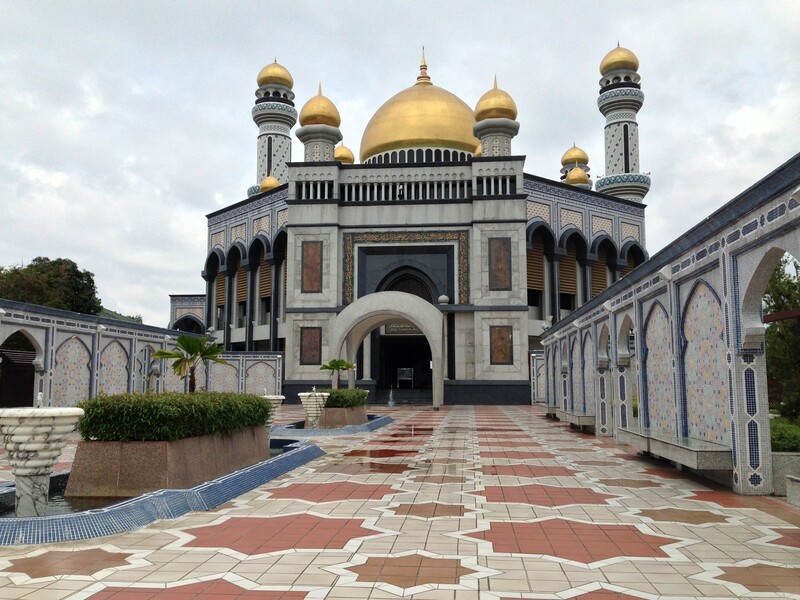 Every family in Brunei has a car – they are heavily subsidised by the Sultan. Houses are also provided for free! On the drive back Violet pointed out many more interesting sights and buildings, and drove us into the country club. There was a restaurant there she’d been considering taking us to, but after the morning fruits and the lunchtime cakes, we were pretty full, so we drove around the grounds trying to spot the pet elephant that lived there, but we were only able to see a few monkeys. so called for their red noses; in Colonial times, the Borneo Malaysians were reminded of the Dutch by them. Violet told us that crocodiles also lived in the river but she hadn’t seen one herself – we couldn’t decide if that was a good thing or a bad thing! docked and were taken to a typical locals home to try tea and some local cakes – very nice. We thought we’d feel a bit uncomfortable sitting there as tourists in a strangers home, but they had a very large living room area and bought in the cakes and drink and left us to it. We then resumed our river cruise and after ten minutes or so had left the city and passed the back of the Sultan’s Palace, and started looking for the elusive Dutchman. We spotted many storks along the rivers edge, and saw a few eagles circling above. catch a glimpse of the monkeys in the distance swinging among the tree tops; their large red noses visible through the foliage. After a steady cruise back we were starting to get hungry. Violet had been intending on taking us to another mosque but we asked her to join us for lunch and asked if she could personally recommend somewhere to try local food, but something vegetarian. She struggled to think of anywhere and asked if we liked sushi, which we heartily responded ‘yes‘ to. We enjoyed an excellent meal and then it was time to say our thanks and goodbyes and we returned to the airport. Brunei International was currently being modernised, so the transit area was a little small and basic, but after the days heat and another 18 hours or so of travel to look forward to, we used the rather dodgy – but (just about) functional showers at the airport to freshen up before our flights. We now had a 7 hour slog to Dubai, a short wait, and another 7 hours back to the UK. One thing I mentioned before was that the Royal Brunei Airlines flights looked like better options than the others as there was only one stop. I hadn’t realised that this is a bit misleading; there is actually a second, in Dubai – for refueling. You have to get off the aircraft (for safety reasons) during this time, but get back on the same one/same seats. On the flight out, there’d been a delay leaving, so we literally got off, went through a very basic security scan, had a long walk, went back through another basic security scan, and got back on again. This time round we had almost two hours off the plane. We’d considered visiting Dubai previously, but had heard the stories about couples getting into trouble for inappropriate acts – such as kissing in public. You weren’t even supposed to hold hands. In Brunei we’d refrained. In Dubai airport we figured the rules were the same – although I accidentally kissed my girlfriend on the cheek on the escalator automatically – but nobody had seen; phew. Yet I was surprised to see several scantily clad (presumably) Russian lasses in short skirts and high heels walking around the shops amongst the heavily veiled local women. We then resumed our flight home. RBA is a dry airline – no alcohol is served on board. We’d read that if you took on a few miniatures then they wouldn’t mind, but we weren’t bothered – alcohol at high altitude is a bad idea anyway and you always get dehydrated on flights. We made the most of the plentiful in flight food and water/juice/tea/coffee and enjoyed several movies. The flights out had passed well; we’d slept a little which was fine as we had been happy being tired on arrival as the local time had been time to sleep; on the way back, we needed a good sleep as we’d arrive at a local time of 6am. Of course, we couldn’t get comfortable – not helped by a passenger who sat next to us, who, in all politeness, stank terribly – and the flight was rather exhausting. We then hit morning London rush hour traffic which we had to fight through and it took around 3 hours to get home – just in time to start work! Fantastic experience though and Bali was a great place to visit. I just wish it were closer!! 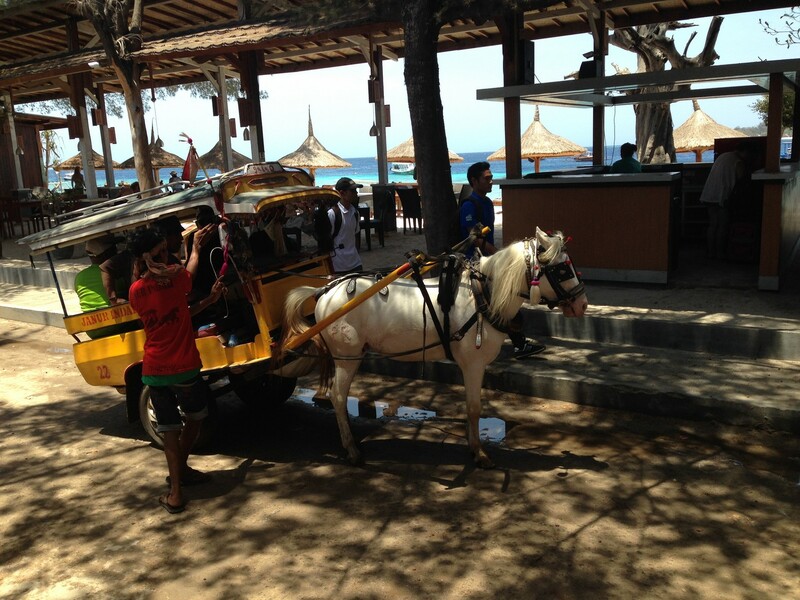 After spending a very enjoyable 3 days in the cultural heart of Bali, Ubud, we took a taxi down to Sanur Beach to book out boat the island of Nusa Lembongan. Only to find that no boats were allowed to sail there that day due to a ceremony taking place and there being a ‘silent beach‘ policy in place! What to do? We’d already booked the hotel and it was too late to cancel. And where would we stay? 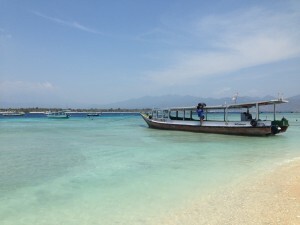 The travel agent mentioned that we would still be able to sail to the Gili islands. My girlfriends face lit up. 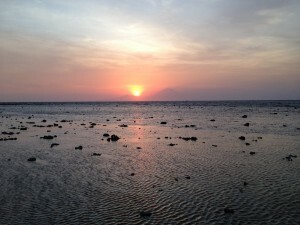 She had really wanted to visit the Gili islands, but had been told that they were a considerable distance away and it would take almost a day to reach – we had decided that we couldn’t quite squeeze a visit in. Lembongan island being much closer, was reachable in a fast boat in 30 mins, or even a slow one in 90 minutes. The agent informed us that a fast boat was available that took 2 hours to get there. It was due to leave in 2 hours, but from a different port. A quick chat with our driver, and we were heading back up the coast to an hours drive north, Pandang Bay. That afternoon we arrived on Gili Trewangan! The island has no motorised vehicles. ‘Taxis’ are horse and cart affairs. It looked very remote and tropical and we were excited to be there, but as it was 4pm by this point and sundown at 6pm (sunrise and sunset are more or less always at 6am and 6pm in Bali due to it’s proximity to the equator) and we hadn’t yet cancelled our existing hotel, let alone found replacement accommodation for this island, I was getting a little bit stressed. 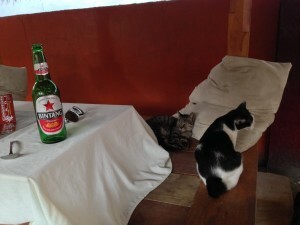 some food, settled in with the local cats (with their strange stumpy tails) and started the hunt! Trying to cancel the existing hotel provided tricky. We had already tried calling the hotel to cancel directly, but they told us that as it had been booked via Agoda, we needed to contact them directly. They then also expressed surprise that no-one had been in touch to tell us about the ‘silent beach‘. I checked the details from the Agoda booking. The cancellation policy suggested that no refund would be made for the first night due to the late notice period; it wasn’t clear if we’d get anything back for the second night. Cancellation was through an online form; I filled in the details and the reason for the cancellation (the ‘silent beach’), along with a bit of a complaint as to why no one had informed us of this, and hit the submit button – only to be told that the cancellation option was not available for this booking. So I found the ‘contact us‘ form instead and sent off a similar message. Although the process had been somewhat frustrating at the time, I’m happy to report that Agoda got back to us very quickly and gave us a full refund, which was a pleasant surprise! The villa I had booked on Nusa Lembongan had taken me some time to find; we had wanted to treat ourselves and literally be on the beach. Could we find something in Gili T the same? It seemed not. Most of the nicer places appeared to be booked up. There were plenty of basic villas set back from the beach but we’d been looking forward to a bit of luxury. 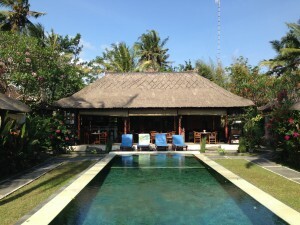 Then my girlfriend struck gold with the Airbnb app and discovered the Kokita Villa. The Kokita Villa is the only villa on Gili T that is on the beach. The reason being is that the beach road that runs around the island is in front of every other villa. It used to be in front of Kokita… but coastal erosion has led to the road having washed away, and having to be diverted around the back – only a small footpath remains in front. But did they have any rooms? had a few rooms available at a cost of 900,000 Rupiah (£45) a night – sold! jingling of its bells (a surprisingly high number of suicidal people) and only warned us to hold on tight after we’d gone down a huge rut and I’d bashed my head into the roof (I still have a scab a week later when I started writing this). Five minutes later (and rubbing my head) we arrived at the stunning beach side villa. could be had from the fridge, you just needed to mark a tally on the fridge. Perfect. We spent a very relaxed couple of days on the island. believe due to the Dutch colonial history of the area) with a handful of French and Americans. 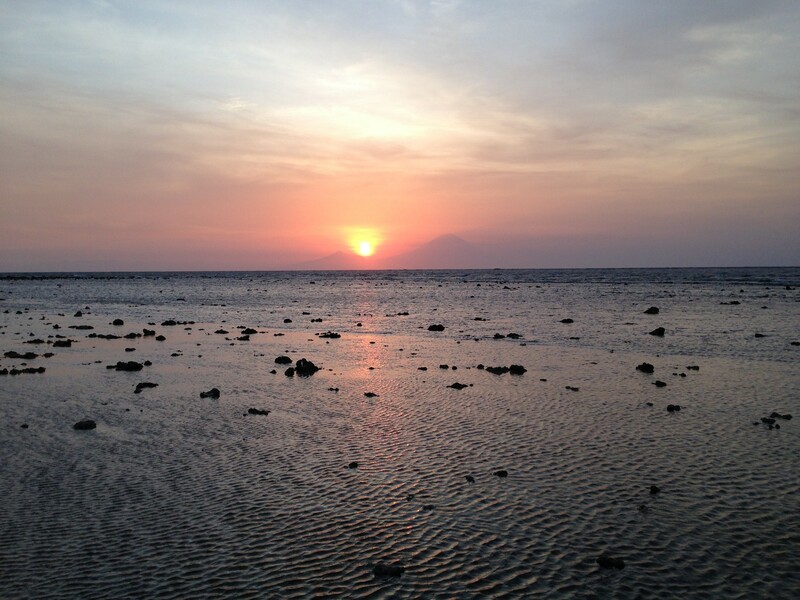 Although Gili T is a beautiful and remote island, the constant stream of backpackers passing by and the busy, dusty and sadly, litter strewn streets of the town made it feel less paradisical than we had hoped. We avoided the centre of the main town and ate at a restaurant Esther had recommended, only a few minutes walk from the villa – Coral Beach 2, a Jamaican place playing live Reggae music. We enjoyed our food watching the band, sat on a sofa on the beach – very pleasant. 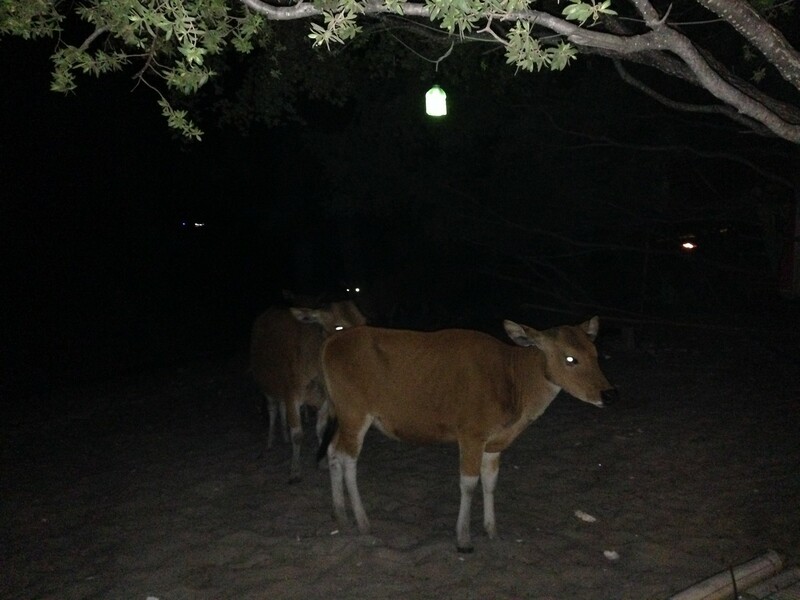 Oh, and watched the local cows walk past on the beach! We tried snorkeling, but it being my girlfriends first time using a mask and snorkel, didn’t try for long. I recall my first few times using a snorkel; I had struggled to time my breathing correctly and hated the squashed nose from the mask. She actually got used to it very quickly, but not being a strong swimmer and their being a very strong rip tide, thought it best to stay shallow. Still, we saw some interesting and very colourful fish and coral, and some bizarre crab like creatures. We decided to hire a bike for a few hours, so we could cycle to the town to use the cash machine and then cycle back and a further ten minutes or so round the corner to the west side to watch the sunset. The villa is on the north east corner of the island, so you can see excellent sunrises over Gili Meno and Lombok in the distance – if you can be bothered to get up at 6am! This was not such a great idea. Sure, a bike can be hired very cheaply and it sounds initially like a great way to get around. The problem though, lies both in the condition of the bikes, and the condition of the roads. The bike chains hadn’t seen a drop of oil since they were first fitted. The gears jumped around randomly and less than a third were available for selection. The steering was completely out of alignment. The suspension was worn out, and the seats in similar condition. As for the roads… we could just about cope with the rutted track, but when the sand levels built up, it just wasn’t possible to continue – the bike started slewing around and you had to dismount. As we continued further out of the town the road got worse and then disappeared completely. We ended up pushing the bikes more than cycling them. Perhaps the roads are better south of the town… but if you are heading north of the town and to the west, I wouldn’t recommend hiring one, although we did see some people on bikes with massive, under inflated tyres, which looked like they were designed particularly for riding on sand, so it may be worth trying one of those if you can find them. seen a decent sunset (I’m not counting UK inland ones in Nottingham!). Every-damn-time I’m late, or the weather gets the better of me, or I’ve got the position wrong and I’m facing the wrong direction! on the beach a while amongst the coral, watching little hermit crabs scurrying about. After the disappointment of a decent massage in Ubud and the unsuccessful attempt by the healer to fix my girlfriends stiff shoulder, we asked our hostess Esther if she could recommend a good massage therapist. She replied that she did but unfortunately he was currently away, but she asked around and booked us a couple of girls that had been recommended to her. shoulder felt much better after. I wouldn’t say I enjoyed mine – in fact, it bloody well hurt! 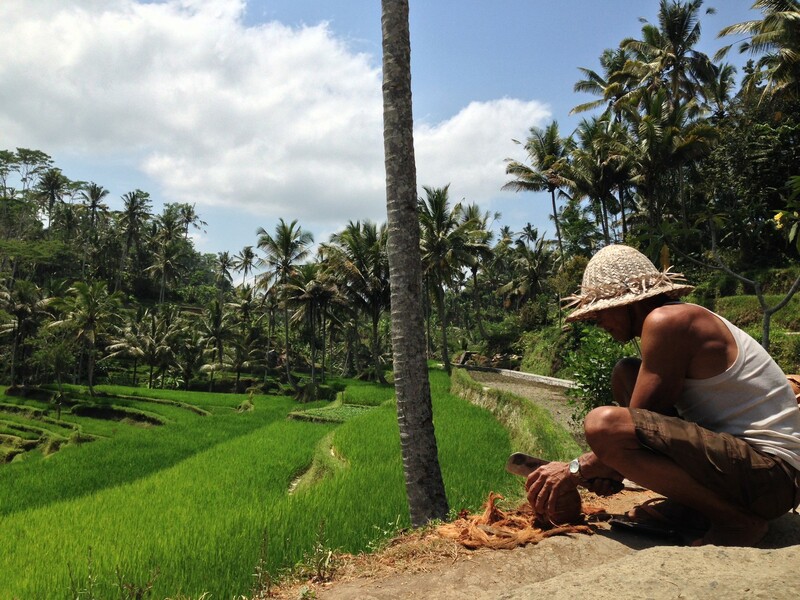 It wasn’t the relaxing, intoxicating pleasurable massage I had in Ubud – this was a thorough hammering of my muscles. However, it was what I needed – you could feel the lumps and knots of tension in my back and shoulders (too much sitting at an office desk and too much driving) being popped out. I felt much better afterwards. One thing to note is that with the Gili islands being closer to Lombok than Bali, the locals are more Muslim than Hindus. This didn’t bother us at all – in fact, I enjoyed hearing the melodic muslim prayers in the background occasionally – and the islands being popular with tourists, there were no issues with alcohol. We had been a little surprised to find the massage girls to be Muslims and surprised too that there was no issue with a married Muslim woman giving an unmarried man a massage, but again, tourism overruled I guess. 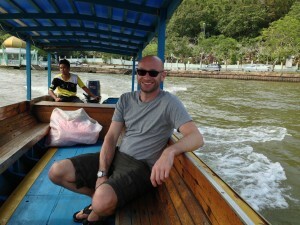 the day before, but it had been fully booked, as had the 8am boat – so the 3pm boat it was. The only problem with this was that the hotel we’d booked in Kuta had a beach side balcony we had wanted to enjoy; so we’d planned to be there much earlier. We couldn’t experience it the next day as we had to be up early for our flight home. And the trip back took even longer than expected. For a start, the boat was about 40 minutes late leaving. Secondly, it didn’t go directly back to Bali. 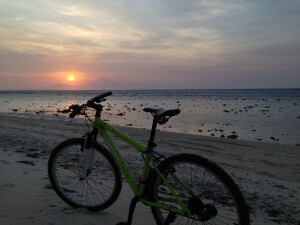 It went to Gili Air (a definitely island to visit in the future, even more remote that Gili T!) first, then on further eastwards to the large island of Lombok, before heading back. It took 3 hours and the journey was horrific – the sea was incredibly choppy, and the boat crashed down from each peak making a horrible metal smashing sound. I didn’t hear anyone being seasick, but everyone onboard (and it was packed) were incredibly silent. When we finally arrived back onshore, the sun had set and we still had over an hour in a taxi to get to Kuta. It took more like 90 minutes, as Kuta on a Saturday night is absolutely rammed and the traffic jams were awful. When we finally arrived at The Kuta Beach Heritage Hotel, we checked in and told that our room wasn’t available but we had a ‘free upgrade’ to a better room. We made our way up to the room. Yes, it was nice; there was actually a fancy looking bath IN the room as well as a separate large shower – but I’d specifically booked a room with a beach view balcony. This room was on the other side of the hotel, and ‘featured’ views over a busy and run down looking market street and roof tops. However, it was late, I was hungry, and what use was a beach view when it’s pitch black and you have to get up to leave for the airport whilst it’s still dark the next day? We remained put and connected to the wifi to check local restaurants. We decided not to walk far; having witnessed the chaos of Kuta through the taxi window and the masses of tourists and locals alike streaming through the streets, opted for a traditional Balinese restaurant close to us on Poppy’s Lane. seen a quarter of the way down, Poppies Restaurant. 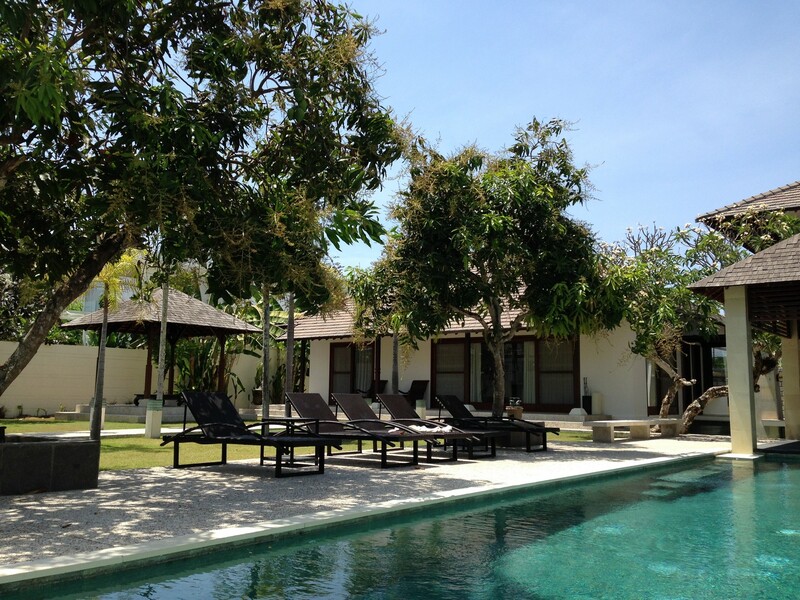 This was a peaceful, blissful haven in hectic central Kuta! Behind high walls, which blocked out the street sounds, we found an enchanted garden restaurant. The staff were very formal in their behaviour and the way the table was laid; yet wore very casual t-shirts. I didn’t have a problem with that; it just seemed a little at odds. They performed other very formal serving yet made a mess of pouring the wine. The food was nothing amazing; very average (there seems to be some very mixed reviews on Tripadvisor). We’d enjoyed the escape from the busy streets though, and I had a rather nicely presented cocktail! Next day we were up early and headed towards the airport. We were happy to leave Kuta but sad to leave Bali. After surviving the chaotic taxi journey, we’d finally reached the cultural centre of Bali: Ubud. I had expected the jungle climate to be more humid than the coast, but it was actually much nicer and the heat (about 29 degrees celsius) was lovely yet comfortable. 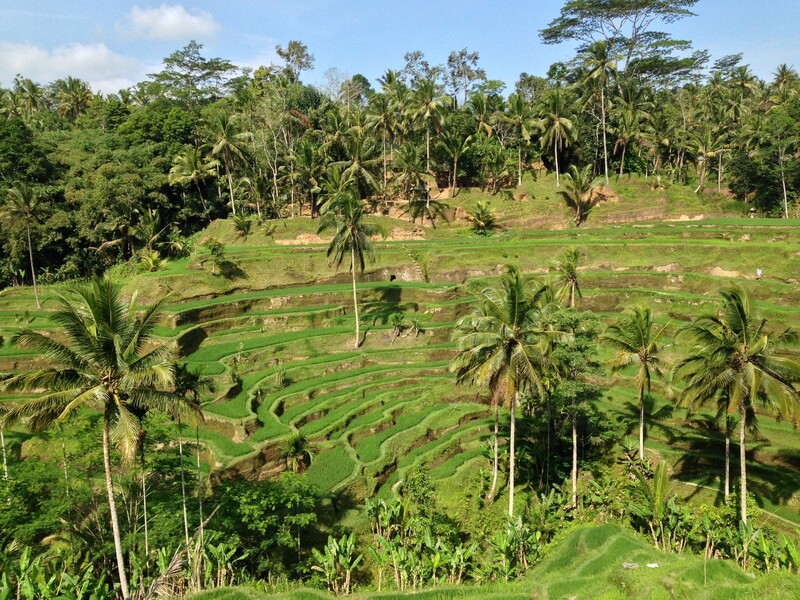 We spent three days in Ubud, relaxing by the pool and enjoying the rice fields view, exploring the town and seeing the sights. Three days wasn’t enough really – we would have happily spent a much longer time there. the entrance and watched several monkeys lounging around the tourists. They seemed fine. What I’d read was that you shouldn’t take any food in with you, as they would smell it and literally steal it from you. We had no food on us, and deciding to adopt common sense and caution, went in. Within the first five minutes we saw a monkey leap up a Japanese tourist and swipe his tin of Pringles away. 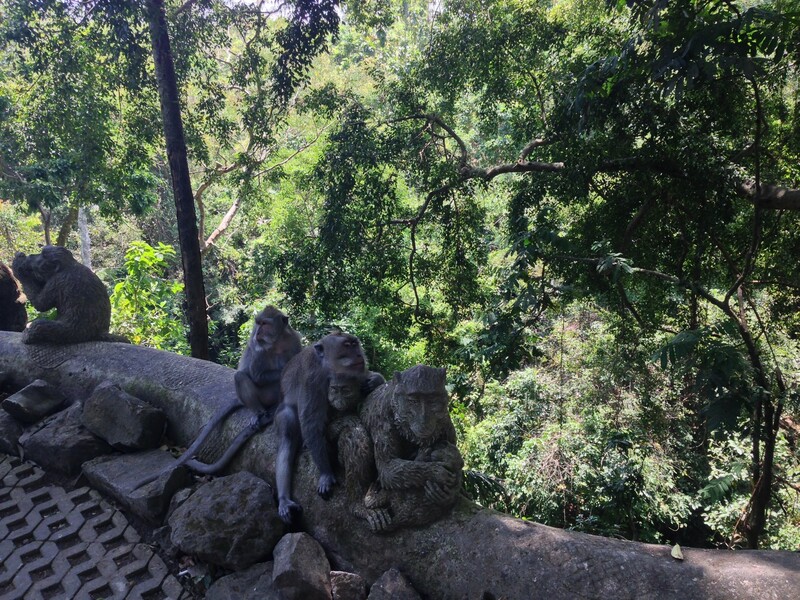 Otherwise, the monkeys seemed pretty chilled and we could quite peace-fully observe them and the various temples dott-ed around the forest. art. Although we weren’t overly impressed with the paintings, the handiwork of the woodscraft was something to behold. The same went for some of the architecture and details in the temples. We went for a coffee at Cafe Lotus that overlooks the Puri Sariswati temple and went for a walk around it afterwards. Massages are advertised everywhere, with prices in villas/hotels around £10 to £20 an hour, whereas the back streets you could find one for more like £7 (we later saw one in Kuta for £3.50 but it looked very dodgy and dirty!). We tried a couple of different massages at the hotel; my Balinese massage was very pleasant and the aromatherapy one had me moaning in pleasure throughout! However, the girls seemed to be only able to follow a set pattern/routine. Both my girlfriend and I were suffering from stiff necks/shoulders and when we asked for them to concentrate on those areas they couldn’t really cope; they spent a few more minutes on those areas then lapsed back into their set routine. It had taken about 40 minutes to walk into the town from the villa. In many places there were no pavements, and the roads being rather chaotic and full of lorries and mopeds, we decided to use the villa’s driver to go back to the town for our evening meal. 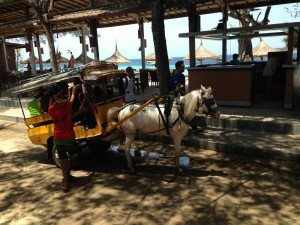 The cost was 50,000 Rupiah (about £2.50) each way. The local taxi drivers normally asked for around 70, 80 K.
The next day, we hired a driver (a friend of the villa’s driver as he wasn’t available that day) to take us to the volcano at Mount Batur and to see all the sites on route, in particular, some of the many temples (pura) of the region. wondered where the elephants were; however, it takes it’s name from the nearby Elephant River (also lacking in elephants!). This was a pretty interesting temple with some nice buildings, set in pleasant surroundings, but it was a bit ‘tatty’ and there was a lot of litter around, which was a shame. or so steps to get to them. 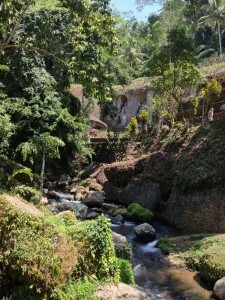 The area is known as Bali’s “Valley of the Kings“. The cliffs opposite the river have shrines carved into the stone walls of the river; quite impressive. there in the heat is hard work but worth it for the temples at the bottom and the jungle and ride paddie views going down; we stopped for some coconut water on the way down to refresh us. 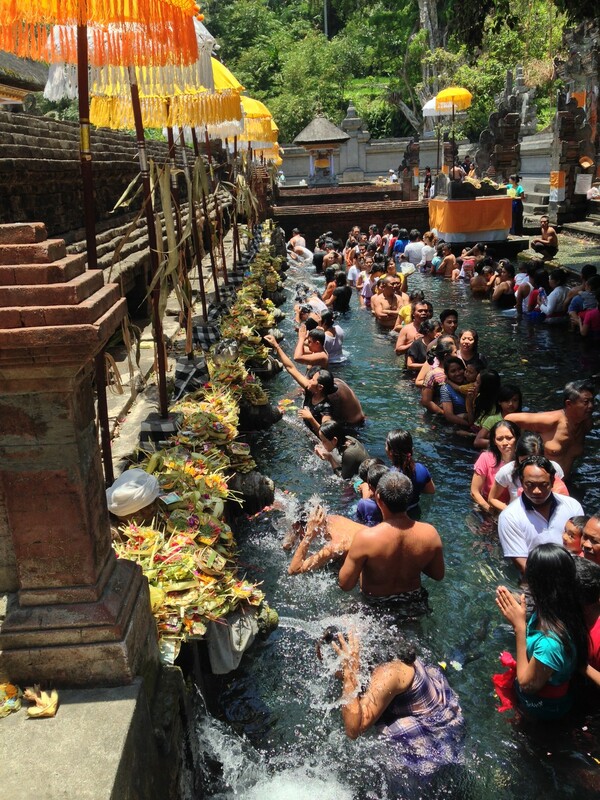 take a dip in the holy water (after making an offering, of course) to bring good health and fortune. What really struck us here though was the local music that was being played by the priests – it was hauntingly beautiful. One particularly ‘song’ immobilised my girlfriend and literally bought tears to my eyes. We wanted to stay longer to see if they would play more, but it seemed they were having a break and our driver was waiting, so we moved on. Walking around the temples, we had been offered various wares and goods from stalls positioned strategically to ‘trap’ tourists. However, we hadn’t felt much pressure, aside from the few ladies insisting on us purchasing sarongs (to wear in the temples) despite it being obvious we already had some. 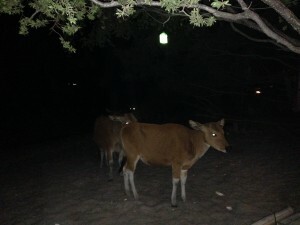 It certainly wasn’t anything as pressuring as walking along the streets of, for example, Egypt, or a busy nightlife strip in a popular resort. We were able to politely say ‘no thanks‘ and move on. However, something we did succumb to, was buying green (or young) coconuts. In the blistering heat, the cool coconut water – deliciously fresh and sweet from the younger, green coconuts – was exceptionally refreshing. However, a word of advice – don’t drink too much! Coconut water can have a certain ‘flushing’ effect on your digestion! heard that the restaurant wasn’t particularly good – a typical tourist trap. Strolling down the hill slightly, we found a smaller, more local looking cafe with even better views. We ordered another coconut water and took a few snaps. Sure, it was a pretty, mountain view, but nothing so impressive as to indicate it even being a live volcano. 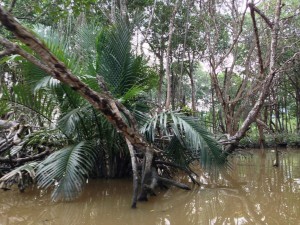 We’d found the jungle and rice field scenery more spectacular. On the drive back we visited a coffee plantation. 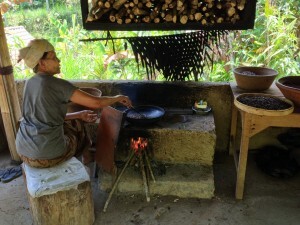 The main attraction at these plantations is the novel Lawak coffee, or Civit coffee. The idea here is that the civet mammals will eat a coffee bean, selecting only the best. The remains at the ‘other end’, shall we say, are only semi digested, and once cleaned, make a supposedly beautifully smooth coffee. In nature, this is fine. However, its seems that farmers have realised the money they could make out of this and now “civet farms” have emerged. The poor animals are locked up in small cages and literally force fed coffee beans, whether they like it or not. The result is them living short and painful deaths from a poor diet. There’s an interesting article by the man who started it all in the UK and a petition for Harrods to ban its sale there – which I believe has now been achieved – more info here. As an interesting aside, the Indonesian people are generally very kind to animals. We noticed many, many cats on our travels there and they were all well fed and looked after, and extremely tame and friendly on approach. We decided to not drink the Lawak coffee, even though the guide at the plantation assured us that their coffee was made from naturally sourced civet dung. However, it was interesting to see the rest of the plantation, and their complementary array of 12 different coffees and teas was duly sampled. There were some beautiful flavours and we ended up buying several boxes of coffees and teas from them. However, we later realised that these were far inferior dried versions – I wouldn’t recommend them. 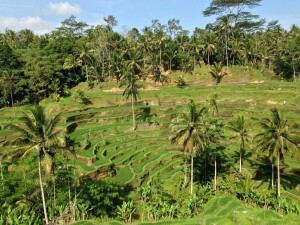 Finally we had a quick stop to see some of the famous Balinese rice terraces. In between each place of interest, we chatted to our driver, Sandhu, who spoke reasonably good English. We asked him about crime, as we heard it was low on the island. 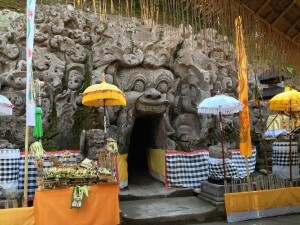 He explained that most people in Bali were Hindus, and therefore believed in karma. Their genuine belief in that doing good will bring good and doing wrong will bring wrong unto them seems to result in these low crime rates. He told us about a ceremony that takes place each year in the villages. They make a model (from paper – possibly paper mache?) of the evil and ugly god. They then parade this through the village. The bad spirits are attracted to the ugly god, and go inside it. They then burn it, thus getting rid of the bad spirits. We asked him what the cloths at the bottom of trees we’d noticed were for. He pointed out that they were normally black and white checks – an equal amount of white (good) and black (evil) to balance out the spirits in the tree! would be able to help but started talking about the village ‘Healer’. Apparently he had a good reputation for being able to help people by removing ‘the demons’ that were causing the problem. He then started talking about the Julia Roberts movie Eat, Pray, Love set in Ubud but said that the problem with that particular healer was that he was getting too old, and was losing his powers. He recommended his particular healer and suggested that he may also be able to help with her skin rash (this appears to have been down to a food allergy). Ever the sceptic, I wasn’t convinced that a ‘village healer’ was going to able to help – especially when Sandhu started recalling seeing him at work and describing how people would yell as their evil spirits were extracted, and him reenacting the scene, playing the part of a demon crying ‘arggh, arrghh, I’m coming out, I’m going, I’m going!!‘. No BAFTA award for this taxi driver-come-actor. Still – we thought it might be an interesting experience, and as the cost (an offering to the gods) was only around £10, we thought we would give it a go. We drove to Sandhu’s village and parked at his house, then walked a very short distance to his neighbour, the healer. He was a old, rotund and jovial looking fellow with several missing teeth wearing a stained vest with several holes in it. Sandhu did the translation, and he beckoned us into his yard. Chickens scratched around in the dust as we were led to a bench. The property looked rather run down but we passed the healers temple – which was absolutely magnificent. Obviously the ‘offerings’ were spent well and genuinely on the temple. course already explained about the shoulder issue and the skin problem was visibly obvious. The healer ran his hands over her back and shoulders and mumbled to himself. He nodded and mumbled in a self satisfied way as if he had found the problem, and Sandhu translated, confirming the case. The healer then took a small, pointed stick/dagger like object and poked it gentle into the area, and spoke what sounded like an incarnation. He then made several stabbing motions (apparently it didn’t hurt) and exclaimed contentedly that the demons had been extracted. He then attempted to find the cause of the skin issue. He located the root cause of this in the base of the neck, and performed a similar ‘exorcism’. Sandhu translated that the demon was leaving without too much difficulty, and was actually saying ‘ok, I’m leaving‘ rather than in the other examples he’d given in the taxi where the demon was forcibly removed. No. The healer then took some (rather filthy looking) coconut hair and proceeded to brush where my girlfriend has the skin rash. He did this for a good 15 mins or so, which was apparently very soothing to the itchy skin. He then proceeded to check for any other issues, and after some poking around, found a issue – in my girlfriends womb! use his ‘demon exorcising’ tool (read: poke with a stick) to extract this particular demon. Again, success: and the information given that she could now get pregnant; and that it would be a boy. Of course, my girlfriend’s shoulder still hurt the next day, and her skin rash persisted. We since discovered that it would appear to be the peanuts in many of the Indonesian sauces that was the culprit; on coming home, and eating other foods, her skin quickly cleared up. A day later she ate some peanuts (not something she regularly eats – cashews or pistachios being our usual nibbles, but we had a packet to use up) and her skin immediately started itching and the old rash flared up again. However, our visit to the healer had been worth it for the experience. Not that we’d be back in a hurry. 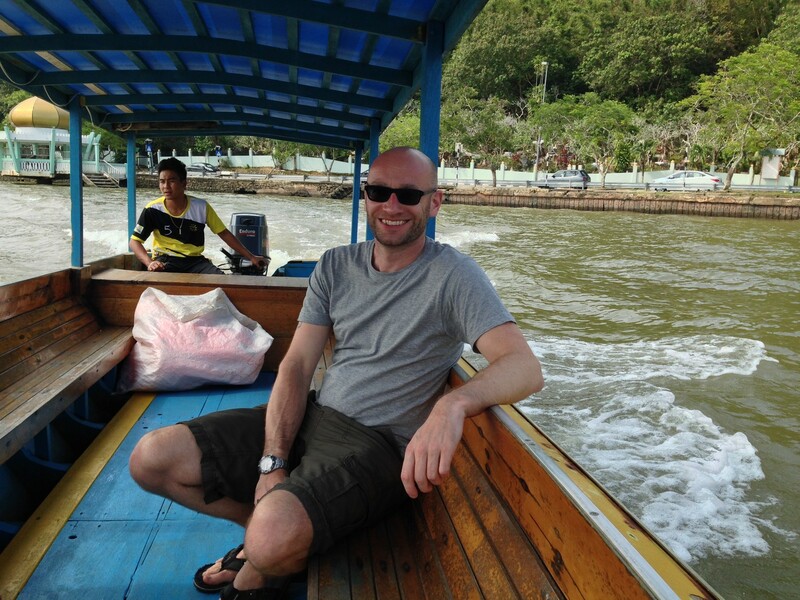 thought we’d try it – tickets were 80,000 Rupiah each (£4). restaurant where we ate quickly before the performance. We’d agreed a price with him of 350,000 Rupiah previously, which is around $35USD or £18 – not bad for a whole day. However, we’d intended to end around 4pm and had ended up using him until about 7pm and he had taken us to several more places, so it went up to 500,000 Rupiah – still only around £25 which was quite reasonable. Although we’d tried lots of different local food over the past few days and had mostly enjoyed it, we had struggled a little to find suitable vegetarian options for my girlfriend, and had heard excellent reports about a more international restaurant called Locavore, so though we would give it a try. with peanut sauce (before she had realised this was causing the skin irritation, obviously!) and it was so good that she asked for the manager to thank him – and also ask for the recipe, which was duly supplied! Going back to the local food options – most Indonesian food is somewhere between Chinese and Indian food. Lots of rice, noodles, spicy or nutty options. Nasi Goreng or Mia Goreng are rice or noodles stir fried in a tasty sauce with a few vegetables, with a fried egg on top – quite often offered as a breakfast choice (alongside the usual egg/omelette options and banana pancakes, seemingly a local favourite). Gado gado is a popular dish consisting of tofu and tempe (a nutty/bready concoction made from fermented soya) with vegetables and a delicious peanut sauce. They were the only vegetarian options really though; everything else was seafood or meat based. Even the vegetarian red curry we ordered once apparently had prawn paste in the sauce. Food in Bali is quite cheap; the above ‘basic’ meals were normally served as small to medium size dishes for around 45,000 Rupiah (£2.25) and larger main courses were normally at 60,000 Rupiah (£3) with meat dishes starting around 100,000 Rupiah (£5). Alcohol however was relatively expensive. A small bottle of Bintang (the local Indonesian beer) would cost around 35,000 Rupiah (£1.75) and a large bottle 50,000 Rupiah (£2.50). Wine was even more expensive, with a bottle costing 400,000 Rupiah (£20). However, some places did a house wine, usually Plaga or Hattens, which a glass could be had for 60,000 Rupiah (£3). I wasn’t so keen on the Plaga white (quite sweet Chardonnay) but the white Hattens was pretty nice, like a dry Sauvignon Blanc. Both reds were acceptable. Supermarket wine prices were similar; however, we found a 2 litre carton box of the Hattens white for only 240,000 Rupiah (£12) which was excellent value. traditional manner to expressive music, displaying even more expressive facial expressions, to convey the meaning. Monsters and demons and other characters joined the dance. It was very interesting to watch, although I can’t say I followed the meaning of it all. The music was enjoyable but not as good as we had heard at the temple earlier in the day. excellent music coming from their earlier so decided to continue the musical evening. Of course though, this wasn’t local music. True, the band consisted of local musicians, but they were playing Latin music. 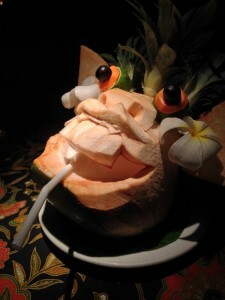 Still, it was very enjoyable, especially with an accompanying coconut water based cocktail served in coconut shell. over to Nusa Lembongan, where we’d booked a hotel for a couple of nights on the island. In October 2014 we decided to travel a little further afield than our usual holidays. Normally we choose 4 or 5 day long breaks away to destinations in Europe to escape to the sun or explore new places, searching for the cheapest deals with the best flight times to fit in a quick break into our busy lives (see my previous article, The Art Of Cheap Holidays). This time though, we fancied doing something a bit different, and travelling somewhere more exotic, to discover new cultures, food, and climate. We knew that we’d both have a relatively quiet October work wise but then we’d struggle to go away for a reasonable number of days until after Feb next year, so we decided to squeeze a long haul destination into our available 10/11 days slot. We considered visiting the USA mainland or the Bahamas – but due to the rather last minute nature of the trip, realised that obtaining the necessary Visa’s in time could be tricky. It was also hurricane season. We looked at India, African destinations, and exotic Indian Ocean destinations such as Mauritius and the Maldives. Scouring skyscanner.net and the various package deal websites for several hours each evening we ruled out destinations due to the expense and complications involved with indirect flights. 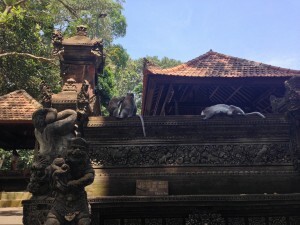 My partner was set on visiting the Indonesian island of Bali. She knew several people that had been and she’d also been involved in a business idea that would have operated in Bali that hadn’t quite materialised, but could potentially re-evolve in the future – so she could excuse the trip as a necessary business trip! However, there are no direct flights to Bali from the UK. 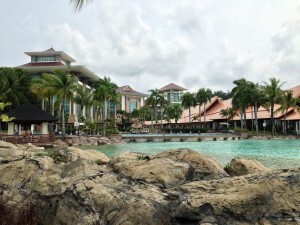 You have to fly via either Dubai, Brunei (Borneo), Singapore, Kuala Lumpur etc – there may be more options, but these were the ones primarily coming up. Did we have enough time in 10 days for such a long haul flight that didn’t have direct flights so involved even longer flight times and the additional complication of transfers? of the rainy season. There had also been a typhoon in the ‘nearby’ area of Vietnam and Hong Kong. 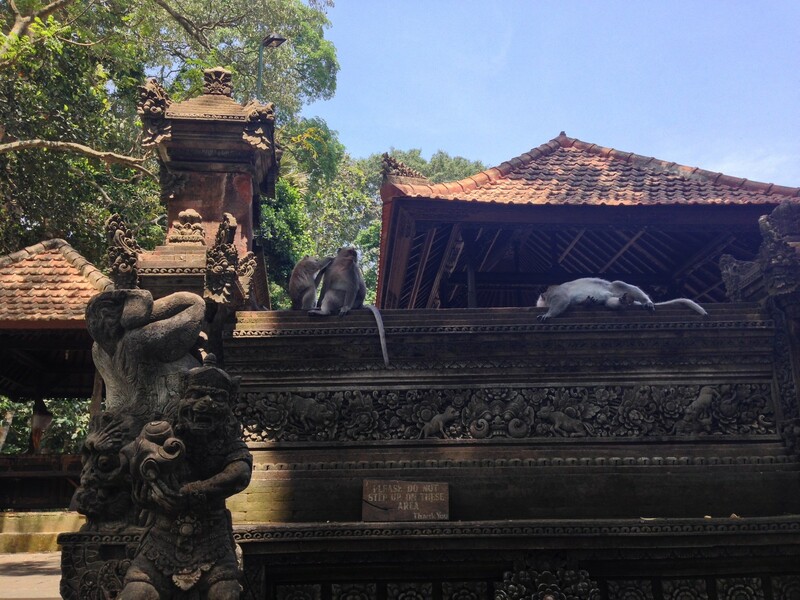 However, the more research I did on Bali, the more I wanted to go. The place simply looked stunning. I found a few tripadvisor and Loney Planet blogs/forum posts and it seemed that early October weather was normally good, with temperatures around 29 degrees and the occasional shower, but generally dry. We decided to risk it. We found some excellent flights with Royal Brunei Airlines. Other flights we had found meant loosing additional days of work (as a contractor I don’t get paid for days off) or exceptionally long journeys involving not one but two stopover/transfers. We thought we’d found an excellent option with Malaysia Airlines; on the way out, we’d have 6 hours in Kuala Lumpur, enough time to get out and explore another country before flying onwards to Bali, and on the way back, only a very quick transfer. However, Skyscanner, as useful as it can be, had got it wrong this time – the outbound flight simply didn’t exist. The ‘real’ flight wasn’t at such a good time, and the prices had shot through the roof. The RBA flights were correct, and showed only a 3 hour stopover in Brunei on the way in, with a total journey time of 20 hours. We figured we’d get a few hours sleep on the first leg, but still be quite tired, so that when we arrived at midnight, we’d still be ready to sleep – despite our body clocks still thinking it was 5pm (due to the 7 hour time difference). hour flight from Bali at 10am so it was perfect to have a whole day there and explore a new country, before heading home that evening. We’d then be back at 6.25am UK time. We’d have a 14 hour flight to get as much sleep as we could so that I could actually work that day when we got back and not loose a days pay – ideal. The Royal Brunei flights were also considerably cheaper (at £581 each for a return) than anything else, which helped matters! We needed to hurry up and book as the flights were just over two weeks away and we still hadn’t arranged our vaccinations, which needed to be done at least two weeks before. I’d already made an appointment with the nurse but she was somewhat irritated as I’d not been able to confirm our destination yet and therefore which injections we’d need! They didn’t really hurt at the time, but my arm ached a lot for two days after from the Typhoid and Hep A vaccination; the nurse said this was due to the large volume of liquid required for that particular injection. (Update: I recently had the Hep A booster – man that hurt, for about 5 mins – then nothing!). The next few weeks were rather chaotic. We were in the process of planning a kitchen refit, involving knocking through a wall from the original small kitchen into the dining room. Our builder revealed that he was available whilst we were away so we decided that to avoid the noise and mess it would be ideal for him to proceed whilst we were away. We hadn’t made many important decisions though yet so had a frantic few days visiting kitchen places and DIY shops and trying to organise everything. We hadn’t had time to plan our trip or book any hotels! With a few days to go, and some squeezed research on lunch breaks, we managed to plan an itinerary and book the necessary hotels in the evenings. We decided that as we were arriving at midnight and would be potentially jetlagged, to stay in the same hotel for at least two nights, in order to get a decent sleep and be able to recover. We chose Nusa Dua due to it’s approximately to the airport but relative luxury and peace, compared to the popular Kuta area, and booked a hotel via Hotels.com (through TopCashBack) at the The Wangsa Benoa. Our plan to only get a few hours sleep on the plane and be able to sleep at the local midnight time (UK time 5pm) worked, and we slept until about 10am. Unfortunately, we still felt like crap. My partner had the worst of it, suffering from a splitting headache for most of the first day. I just felt extremely groggy and somewhat braindead. We took it easy and chilled by the pool, and wandered down to the beach for an explore. The humidity, rather than the heat, was what hit us. Being close to the sea and it being around 30 degrees, the humidity was very high, and walking any distance was quite tiring. Fortunately we’d found a Tripadvisor recommended restaurant at a hotel almost opposite us so didn’t had too far to walk. 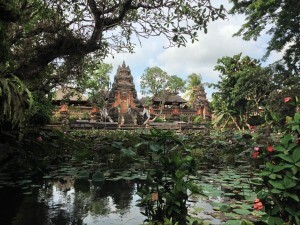 Our first impressions of Bali were good, although with Nusa Dua being more for luxury resorts (we’d picked a mid class apartment in a complex of villas with private pools; we had the shared pool but as there was no-one there had it to ourselves anyway!) I was surprised that the streets were so dirty and dusty, with lots of run down looking buildings and missing pavements. The beach also wasn’t very nice, with lots of rubbish strewn around. It may have been because we were quite far south of the main part of Nusa Dua. However, the people were friendly and the weather good and asides from suffering from jet lag, we passed a first day reasonably well. We were shattered in the evening so just got some snacks in our room and had an early night. Day two we felt a little better and after a quick dip in the pool and packing up, arranged a taxi to Ubud. This is when we really experienced Bali. 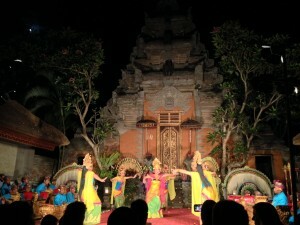 Ubud is the cultural centre of Bali. The town is located in the jungle and rice paddy fields and is the central hub for art, food, writing, spiritualism and traditional music and dances. Getting there was an experience. Indonesia driving is an art in itself. Drivers make their own rules, and “lane discipline” is a concept unheard of. Driving through the busy outskirts of the capital and through Benoa and Sanur, we experienced driving techniques that would leave even a East European driver gob smacked. And I’ve driven in Bulgaria! Mopeds & motorbikes weaved in between traffic like fish between seaweed. Undertaking and overtaking were continuous, often into the face of oncoming traffic. How we didn’t witness several deaths I don’t know. Mopeds would swerve into whatever gaps they could, whether they were on their side of the road or not. At busy junctions, to avoid the queues, mopeds would go into the oncoming traffic’s lane to get by the slower/queued traffic. Lanes for left and right turners only? Used by everyone. past stationary traffic and then swing in front of them to turn left! We asked our driver why several drivers often had their hazard lights on. He told us that he personally would only use them for when there was a problem, but he figured that people used them when they didn’t want to go left or right, but straight on. Even he agreed that this was flawed, as anyone approaching from the side could only see the one light and assume that the driver was turning one way. Not that anyone took any notice of indicators. The horn system seemed to work well. The locals honk their horns – lightly, and not aggressively and loudly like in the UK – to mean many different things, such as “I’m coming through”, “watch out”, “I’m undertaking you”, “I’ve acknowledged you undertaking me”, “move please”, “I’m coming round a tight blind corner”, “I’m overtaking on a blind corner” etc etc. There’s a continuous rhythm of honks and pips. After almost two hours, we finally reached Ubud. The narrow streets being so full of traffic in Bali means that getting a relatively short distance can take a considerable amount of time. After a little back tracking, our driver finally found our villa, off a dusty side road. 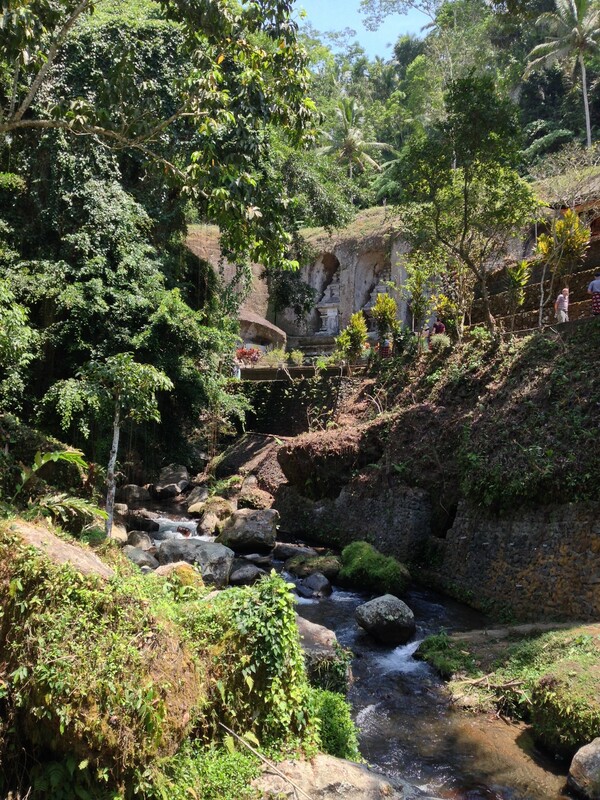 Thankfully – Ubud itself was far too loud with the main road running through it and all the moped and vehicle noise and horns. set in the ride paddies with great views. The staff were very friendly and helpful. Our room was simple but comfortable, with a mosquito net around the bed. Our bathroom was open to the sky. We finally felt like we were actually in Bali. Topcashback – get cash back on almost anything & save a small fortune! I’ve mentioned TopCashBack in many of my blog posts and thought I’d dedicate an article to the this great service and way of saving/making cash. TopCashBack is an online service whereby you click through to a merchant (i.e. seller) via their site. They track this site visit, and if you make a purchase, you receive cash back. The service has literally saved me over a thousand pounds since I joined a few years ago, and continues to do save me money. Of course you have to sign up with TopCashBack and register you bank details. It costs nothing though. You simply search for a merchant, or services description, and it will list the merchant or suitable alternatives, with the amount of cashback on offer. For example, say you want to book a hotel for a night and have spotted a good deal on Hotels.com. Instead of booking directly through Hotels.com, you log into your TopCashBack account and enter Hotels.com in the merchant search. Usually they are offering around 7% cashback with this site. You check the terms and click through to Hotels.com; a new window is opened and ‘tracked’. You then place your booking as normal with Hotels.com. cancel) then Hotels.com informs TopCashBack and they are able to claim cashback from them, which is later paid into your account. It can take quite a long time sometimes to get your cashback – usually 6 to 8 weeks – but you will get it eventually. 7% cashback on a £80 hotel booking is £5.60, so well worth doing. 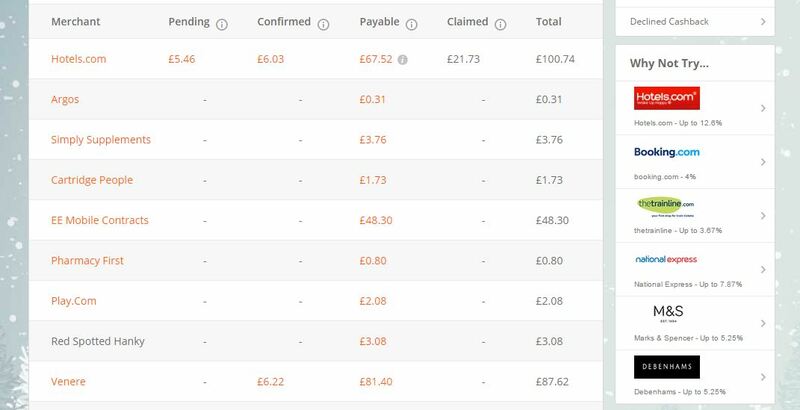 And once you get into the habit of checking TopCashBack before buying anything online, you can save a small fortune – I’ve saved over a £1000 over the years. or often a fixed value, for example, I recently had a £65 cashback offer on home insurance I took out. Some of the best cashback deals are on services – such as switching Energy suppliers. Currently Npower are offering £47.25 cashback if you switch to them on their dual fuel plan. Mobile phone providers also offer high cashback volumes – O2 are offering up from £26 up to £126 cashback for some of their mobile contracts. I mentioned I got a good cashback deal on home insurance; you can also save on car insurance, motorcycle insurance, business insurance – most forms of insurance, really. Just have a search in the TopCashBack merchants list. you may find a better deal without cashback, but it’s always worth checking. I’ve saved a small fortune in hotel bookings by using TopCashBack (see my article, The Art Of Cheap Holidays). I usually search several hotel sites such as Hotels.com, Venere.com , LastMinute.com, Expedia.com and LateRooms.com for the ideal hotel, then check current TopCashBack click through rates. I may find a hotel for £60 on Venere.com and cheaper on LastMinute.com for £55; but TopCashBack may be offering 15% cashback at that point with Venere as opposed to LastMinute.com’s 5%, so purchasing via Venere effectively costs me only £51, as opposed to LastMinutes.com reduced price of £52.25. Now it’s coming close to Christmas time too there are some excellent cash back offers. The Buy a Gift and Red Letter Days sites are also doing cashback currently at 12.6% and 18.9%! 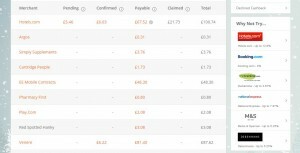 TopCashBack tracks your cashback in a dashboard so you can easily see what you’re order and how the order is processing. interface. Only on a few rare occasions have I had to ‘chase’ cashback, but it’s always been sorted out eventually. So what do I ask for giving you this wonderful advice on how to save so much money? friendly girls from London on board the minibus happy to have a chinwag. 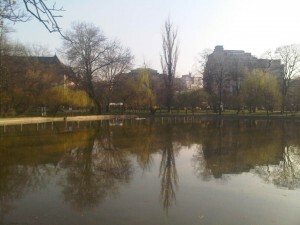 We were dropped off in a central area of Bucharest and I started heading for my hotel. I was dying for a coffee (read: toilet) and on passing a small restaurant I thought I’d pop in and give my (very) limited Romanian a try. I managed a greeting and to order a coffee politely, although I had no idea what she said back to me, but her beautiful smile was worth it. I even managed to ask where the toilet was, which was again greeted with a wondrous smile and a babble of words I didn’t understand – I followed the pointing finger and managed to find it. It seemed that the Romanian’s appreciate you trying to speak their language just as much as the Turks did. 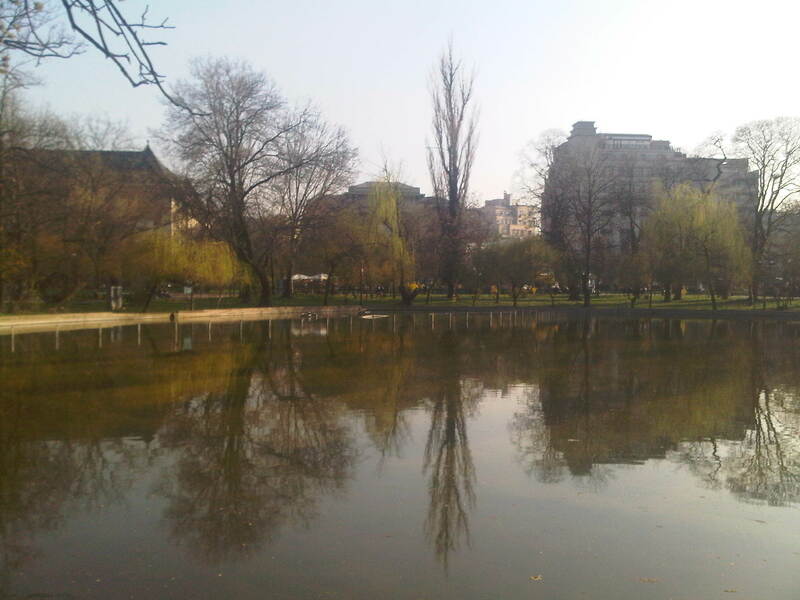 I then had a 10 minute walk to my hotel near Cismigiu Park. I had been through Romania previously, but only at night in a taxi on my way to Bulgaria. Walking through the streets in the afternoon spring sunshine, I was very impressed. The architecture was impressive; I could be in London or Paris. True, some buildings weren’t in a great state of repair… but again; I could be in London or Paris! Mercedes and a surprising amount of modern French cars. The people too; they were beautiful. Ok, there was the odd old lady or homeless guy (again, London or Paris…) but in general the people were very well, fashionably dressed, and the women were gorgeous – elegant clothes, slim figures, beautiful jet black or platinum blond well styled hair. Then I arrived at my hotel. It was basic – seems I’d made a mistake and not realised I didn’t have an ensuite bathroom – but clean and quiet. And it had been incredibly cheap; for one nights stay it would do the job. It’s proximity to the park was great too; and supposedly close to the restaurants and bars (although I did get a bit lost and struggled to find the main area). overlooking it and the trees. An oasis in a busy city. I’ve since taken two lady friends there since; it’s a very romantic spot. Bucharest does have many similarities to the so-called most romantic city in the world, Paris: it seems the dictator Nicolae Ceaușescu copied many aspects and there’s even an Arc De Triumph. his last speech. I ended up getting a little lost and didn’t find the main restaurant area I was looking for. Getting hungry, I popped into what looked like a nice local restaurant, only to find out later it was Hungarian. Still, I enjoyed the food. I managed to find a few bars but being alone and not speaking much Romanian, and having to get up early the next day, I just sampled a few local beverages and headed back to the hotel. 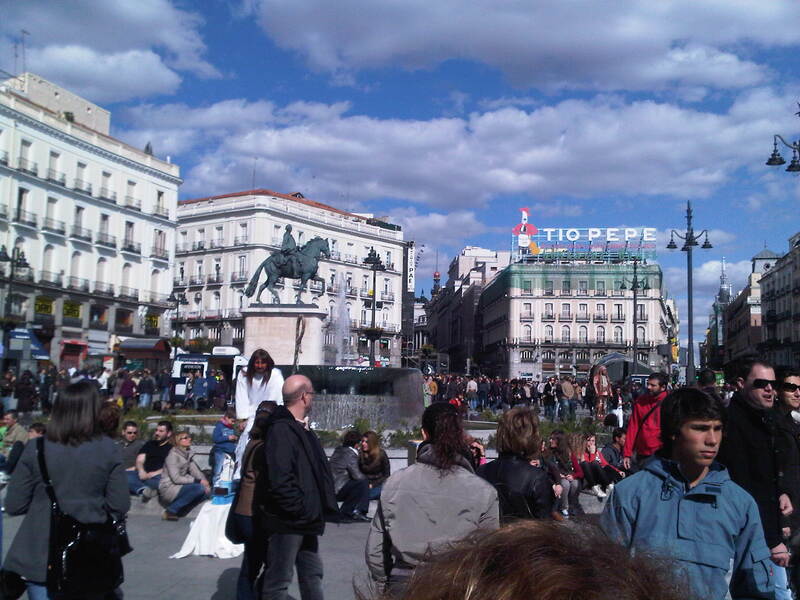 The next day I flew to Madrid. taking a few snaps decided to go for some food. A few drinks and an early night, then I was off to Playa De Las Americas, in Tenerife. 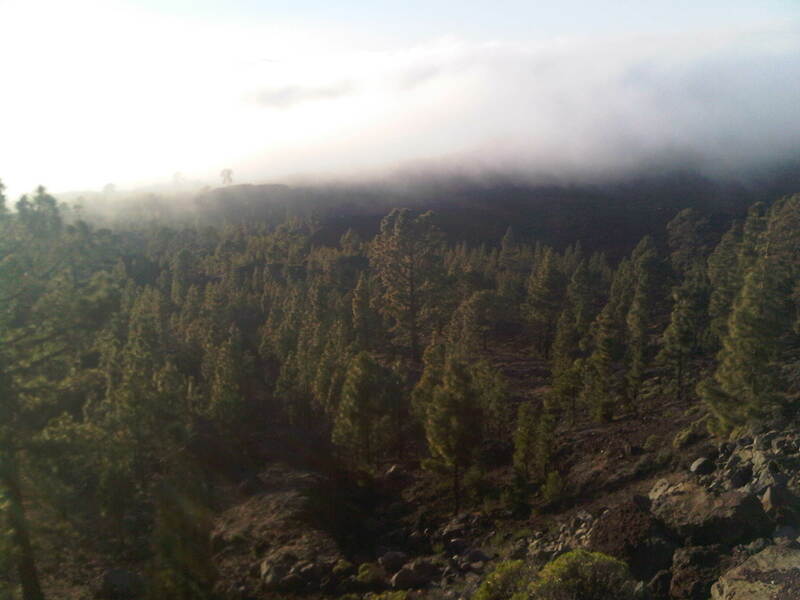 I spent 4 days on the wonderful Canary Island and enjoyed myself thoroughly. I’d been a bit worried I might get bored on my own, especially now I wasn’t travelling so much. The first morning the weather wasn’t great so I passed my time exploring and found a good internet cafe and caught up with the goings on of the world. It brightened up later and I was happy to read a good book by the pool. In the evening I decided to hit the nightlife. 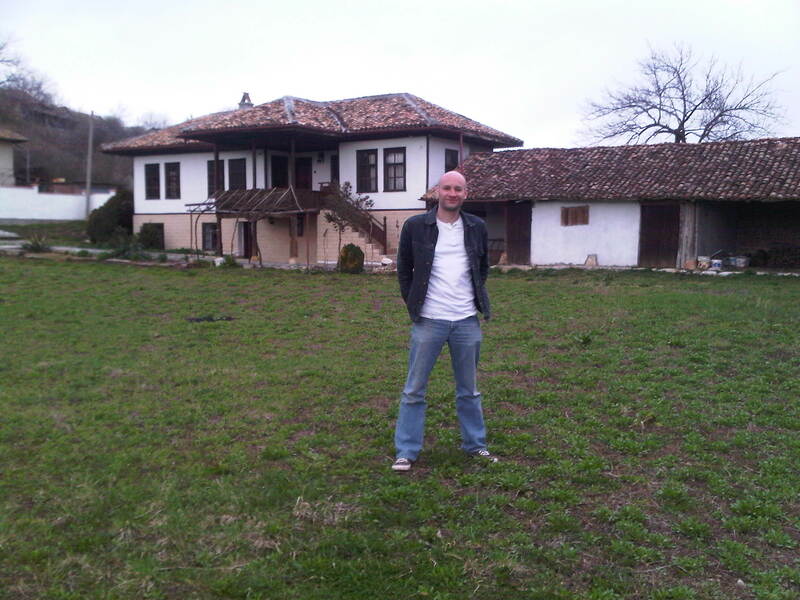 I’d been a bit scared going out at night on my own in Turkey and Romania (in Bulgaria had stayed with family in the village so hadn’t gone out – the local wine was enough to keep me happy!) but in Tenerife figured that there’d be plenty of English tourists and I’d be able to merge in and get chatting to someone – hopefully a hot young lady (being single at the time). I turned up at the infamous Veronicas Strip – and found it empty. Possibly… it was about 10pm. People on holiday often go out much later; particularly since the 2008 economic crash – people would get cheap drinks at home/the hotel and go out later. I wandered into the first bar and sat down at one of the many free chairs outside – the place was deserted. An eager young barmaid walked up to me to ask what I’d like to drink. I ordered and when she returned with it I asked her where everyone was. She seemed as confused as I was; it was normally busier by this time of night, and this time of season, apparently. As it was, people did start showing up over the next hour, but even by midnight it could hardly have been called busy. She was very friendly though and obviously quite bored, so we both passed the time chatting, when she wasn’t serving customers. She was pretty enough, but only 16, and there was just no chemistry; yet for the next 3 nights I came to that bar for at least an hour for a pleasant chat with her. I found a night club that evening which was somewhat busier, and enjoyed a few cocktails, becoming ‘more talkative’, shall we say, and found myself looking at random pictures of myself and strangers on my phone the next day. The weather disappointed me again though, and as the day wore on, didn’t seem to be getting any better. I decided to hire a car. 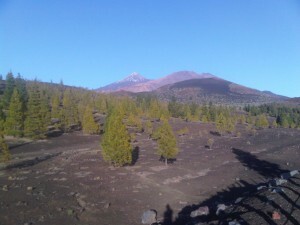 Catching a lady at a local rental firm just about to leave for a siesta, I managed to get a cheap car for 24 hours, and headed up mount Teide and emerged above the clouds at 2000m (6 and half thousand feet) to beautiful vistas of cloud enshrined pine trees and glorious sunshine. 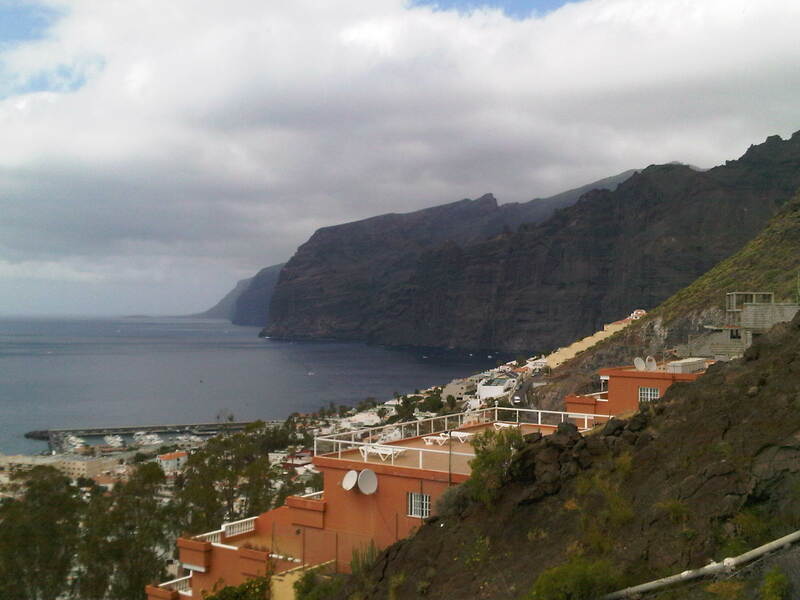 remaining 12 hours car hire and visiting a couple of local recommended beaches, the beautiful cliffs at Los Gigantes (literally, ‘The Giants‘). I wasn’t bored or lonely; I had my book during the day; in the evenings I chatted with my barmaid friend and later allowed the cocktails to do their magic and loosen my tongue to chat to random strangers. On the last night I ended up exchanging phone numbers (and a few kisses) with a pleasant lass from Newcastle. As you do. Thoroughly entertained and relaxed I headed back to the UK and reality. The Lonely Planet Canary Islands (Travel Guide) can be purchased from Amazon. At the end of March 2010, I decided to travel alone, for 10 days, to 5 different destinations. Originally I’d planned more countries, but expensive and time concerns put me off: I didn’t want to exhaust myself, I still wanted to enjoy my time and not be constantly travelling. Nor would I be entirely on my own; the idea was to meet up with my ex’s family in Bulgaria where she was holidaying with my daughter, so I could see her for a few days. My original grand plans had been to start on the Italian east coast and get a ferry across to Croatia or Greece, then work my way up to Turkey and Bulgaria before travelling onwards. I hadn’t realised how time consuming and expensive the boat connections were. The next plan was to fly to Athens – I’d always wanted to visit and to this day still haven’t had the chance – and get a sleeper train through the Greek mountains. Research showed the trains to be slow, unreliable and uncomfortable. Connection information was sketchy, and the flights to Athens weren’t ideal either. Ok, lets start in North Greece, in Thessaloniki. Nope, flights were too expensive. Greece was scrapped. I’d already visited two or three Greek islands, I could give this country a miss this time. Turkey, however, was a different proposition. Istanbul held some weird fascination for me; the diverse culture, turbulent history and geographical significance of the ancient city as it’s role of gatekeeper between Europe and Asia, beckoned to me. Plus the flights were cheap. I was a little scared of travelling on my own there, especially after reading about the various conmen that befriend you on the street and you end up going for a friendly drink with… in a bar in which you find the door closing on you before being presented with a huge bill for the drinks. Don’t pay up, and you get beaten up. So just be careful. I’d read the warnings online beforehand, but as a tired traveller, and with an Englishman’s ridiculously polite inability sometimes to just say ‘no‘, you can easily find yourself in a tricky situation. The next day I adopted a trick I’d read about online to avoid eye contact in the busy streets: wear sunglasses. It was pretty sunny anyway so I didn’t look daft, and it worked well – I merged into the crowd, not looking like a tourist as I looked around without anyone being able to see my darting eyes figuring out which was I was supposed to be going. 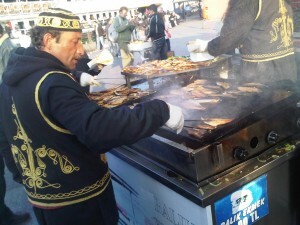 That’s when I really started to enjoy Istanbul. the formidable Topkapi Palace, home to generations of sultans and their wives, closeted on the famous harem. I also visited the Basilica Cistern, an amazing underground water storage system created by the Byzantine empire in the 6th century. That was simply stunning. I’d learnt a few words and basic phrases in Turkish; the usual ‘hello‘ ‘can I have’ ‘please’ ‘thanks’ and ‘bye‘, etc. Saying these little words to the various people I met at the tourist attractions and cafes resulted in huge smiles of appreciation at the effort to speak their own language, so I was glad I’d tried. 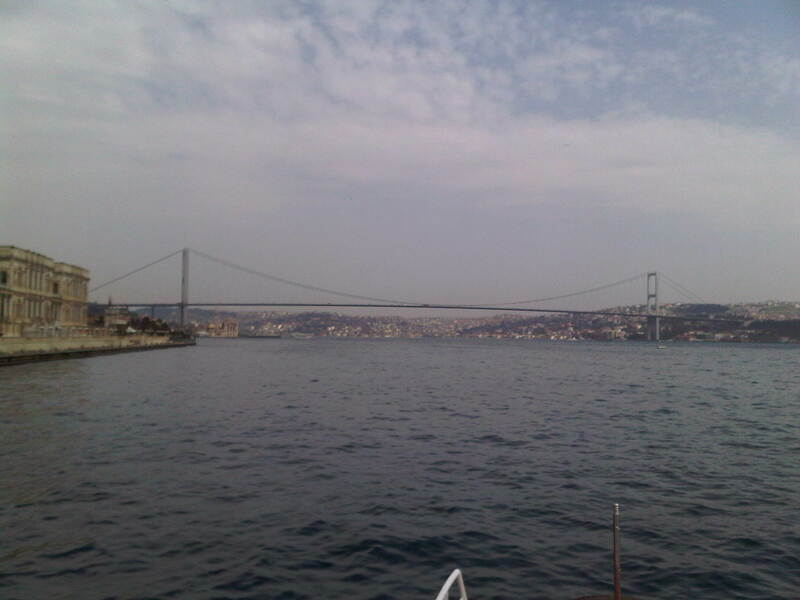 I got a boat down the Bosphorus, the sea separating Europe and Asia. 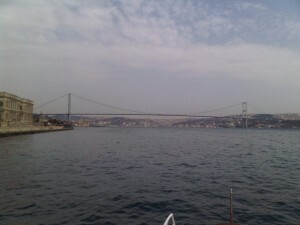 I drank some of the hot spiced apple tea that is sold everywhere as the cool breeze wafted by us as we sailed under the Bosphorus bridge and then back down the Asian coast. I’d actually hoped to get a boat to the other side so I could have visited Asia, but in my short time there hadn’t found anything suitable. I sampled ‘Balik Ekmek‘, basically a fish sandwich; the fish was fresh out of the sea and fried in front of your eyes -delicious. My favourite attraction though in Istanbul were the Hamami – the Turkish Baths. 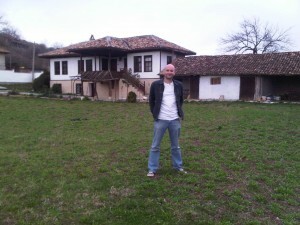 I decided to visit the oldest first, Çemberlitaş, built in 1584. You can just enjoy the steam room and relax, choosing a self service option to clean yourself, or a number of message or scrub options. I decided not to opt for a full massage but paid a ridiculously small fee from some massive bearded half naked Turkish guy to grin at me hugely and ramble incoherent (to me) Turkish at me whilst scrubbing me down rigorously and then throwing cold water at me. It was very refreshing actually; especially going to lie down on a hot slab afterwards and enjoying the atmosphere and history of the place. The next morning I decided it was worth getting up early and visiting another steam bath in Istanbul before catching the bus to Bulgaria. I decided to visit Cağaloğlu Hamam, built in 1741. The haman was featured in the film Indiana Jones And The Temple of Doom . I opted for a self service clean this time round. For more on Istanbul, you can get the Lonely Planet Istanbul (Travel Guide) from Amazon. For me, it was time to head onwards to Bulgaria. However, the journey wasn’t so bad. There was a toilet on board; but that too was out of order. Fortunately the bus made regular stops so my pea-sized bladder didn’t struggle too much. I also got chatting to the Bulgarian chap in front of me, who spoke excellent English; seems he’d lived and worked in Luton for a couple of years. The world being small, it also transpired that he was from a village in Bulgaria I knew well – having sold a house to a South African chap we’d remained in touch with during the years we’d ran a Bulgarian property business. fuss. I met up with my ex’s family and spent a relaxing 3 days with my daughter. She was only 3 at the time and I’d never spent much time away from her, usually taking her for a day or two at the weekend and also popping by midweek for an hour or two to see her, so it was lovely spending some time with her in the warm Bulgarian sunshine and seeing the house we’d bought a few years back, now for sale. We went for a walk around the rock caves at Ivanovo and the fortress ruins at Chevern. I then hopped in a minibus across the Danube and into Romania, to spend an evening in Bucharest. In my previous posts I explained how I saved money (and how you can too) by looking around for cheap flights and accommodation. Using cashback sites like TopCashBack and Quidco also saves further on hotels and car hire. Further savings can be made on car hire. GPS/SatNav: do you need this? Are you going to get hopelessly lost? Driving abroad and navigating on the ‘wrong’ side of the road can be tricky and often stressful – especially if you’ve got kids in the back yelling ‘are we there yet‘ and ‘Daaaaad, I need to go to the toilet‘. Places are often not as well signed posted as in the UK. If you arrive at night/early hours of the morning and it’s dark, navigation is further complicated. But SatNav systems are often charged out at extortionate per-day prices. If you have a standalone unit at home, take it with you! Just make sure that the relevant maps are downloaded on the unit before you go. Or purchase a data package for your phone for your holiday period, and use Google maps or a similar mapping/GPS app. Children’s car seat/booster: A legal requirement if you have kids, these can be charged out at ludicrous prices: frustrating when you can buy a basic booster for a tenner back home. I think I had to pay about £40 extra on a recent car hire for a week in Spain. Look around; some car hire companies include these free of charge. If not, could you squeeze yours in your luggage and take it with you? Do you even need a hire car? With the child seat costs factored in, might it be cheaper to get a taxi/transfer/bus? Insurance: Do you really need the extra cover? Basic insurance cover is usually sufficient, depending on your driving skills that is! Most car hire companies will try and sell you extra cover when you arrive at their office to collect the car, usually scaring you into it by ‘blocking’ a huge amount on your credit card as a deposit, or quoting a massive excess in the case of any claim. Make sure you check what is covered before you get there and decide whether you really need any extra cover. Look around; some companies offer significantly more cover as standard. Check local road conditions: for example, on a recent trip to Iceland, I was advised that there’s lots of gravel roads and you should consider the extra gravel damage cover. As it was, we only went for 2 days and stuck to main roads (apart from once or twice, where I drove carefully) so opted for the cheaper basic cover. Also note that if you do have an accident and have to pay for car repairs, your holiday insurance may cover this. Another money saving aspect to consider is baggage costs, especially where the cheap airlines are involved. Hold baggage on Ryanair and Easyjet can be considerably expensive, but they do allow a reasonably large bag on board for free – and Ryanair now even allow an additional smaller bag to be taken onboard. Do you really need to pay for a suitcase to go in the hold? If it’s a 5 day holiday, can you fit enough clothes in the onboard baggage? In fact, I managed a 10 day trip once (post coming soon! ), although admittedly I did wash and dry (on the balcony) a few clothes whilst there. Wizzair does some excellent cheap flights, particularly to Central and Eastern Europe, but watch out – they’ve recently reduced their onboard baggage allowance to much less than the other budget airlines such as Ryanair and Easyjet. I still would recommend them though for their excellent service; their inflight food has recently been upgraded too and offers a more premium menu. They also have some incredibly cheap options to more exotic locations such as Dubai and Tel Aviv if you are willing to go indirect, via Budapest, Bucharest or Sofia. Airport car parking if also something to take into account when planning your holiday expenditure. If you are only away for a short break, driving and paying airport car parking fees can often be cheaper than paying for taxis or trains fares to the airport – especially if you look around and use the cash back sites. If you’re in no rush then you can usually get the cheaper car parking that’s off site and requires a transfer. Just bear in mind though that you often have to wait 10-15 mins for the transfer, and the transfer can take 10-15 mins depending on traffic, so leave enough time for airport check-in/security. There seems to be more and more on site or “meet and greet” services these days; if you can get a decent cashback offer and bring the price down then these may be worth considering. I’ve not covered hostels or backpacking or hitchhiking in any of my posts. I have no personal experience of them. I’m not going to blog about something I know nothing about; I will only write about things that I have a particular interest in and have done the research or have some experience in. Of course you can save money hitchhiking. Of course you can save money sleeping in a shared hostel. But there are pros and cons of each which I’m not experienced to advise on. All I can advise is on my own travel experiences in the last few years and that I’ve managed to travel far and wide, frequently and relatively cheap, based on these money saving tips.